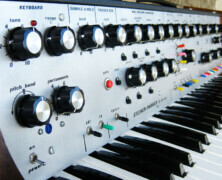 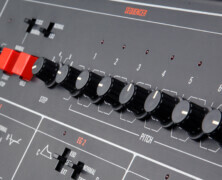 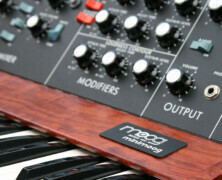 Home » Posts Tagged "Mono"
By the end of 1970, the now incorporated R.A. Moog Inc. introduced the Minimoog, manufactured in Trumansburg NY. 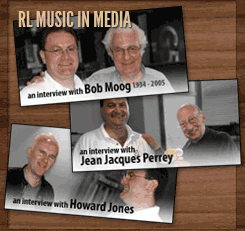 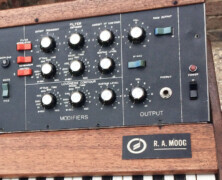 The first of all the subsequent Model D Minimoogs ever made were called the ‘RA Minimoog’ named so after after Robert (Arthur) Moog’s initials. 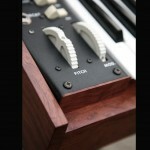 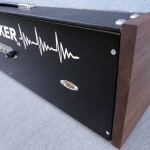 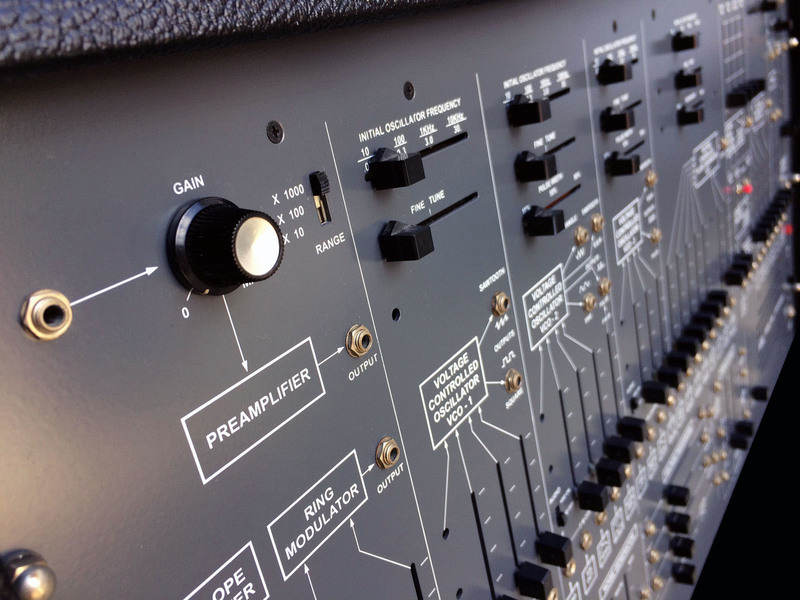 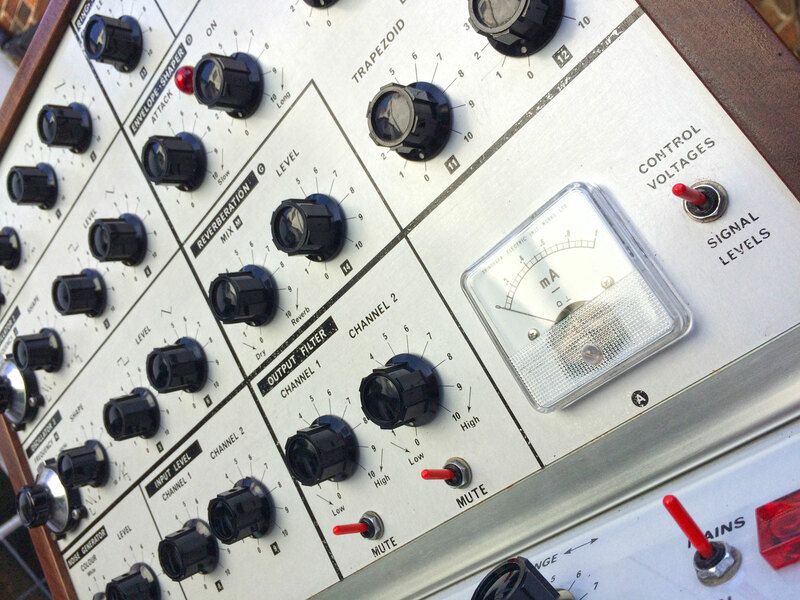 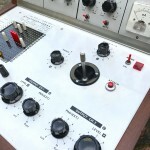 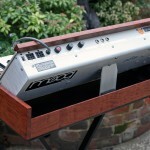 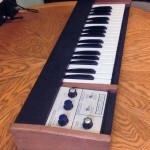 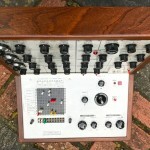 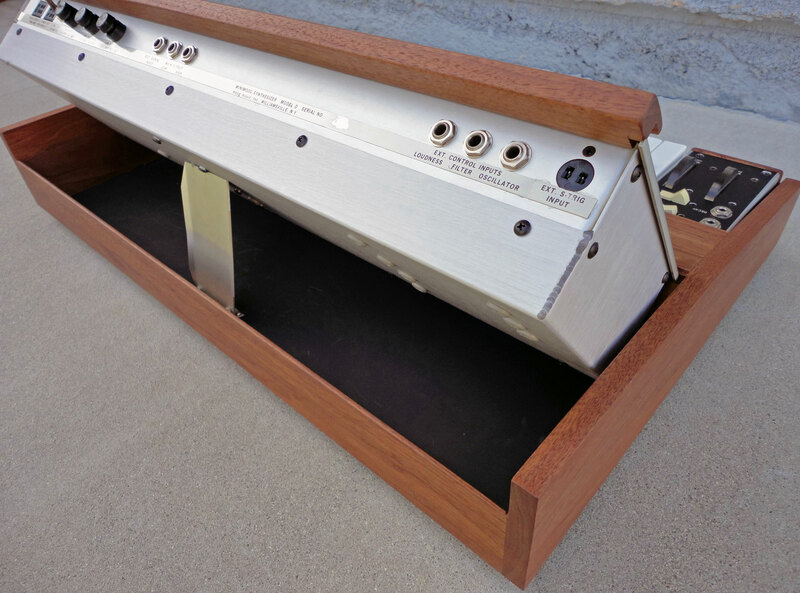 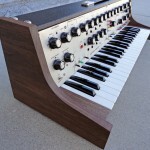 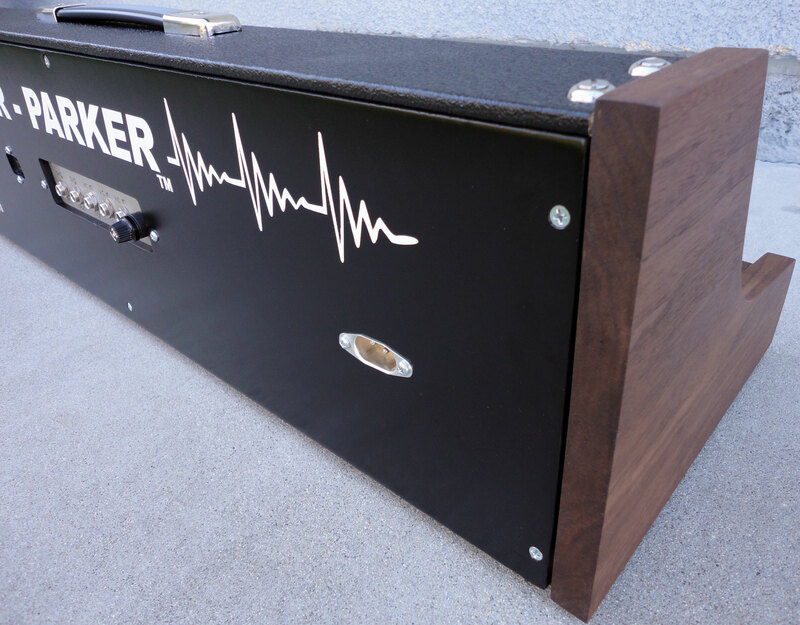 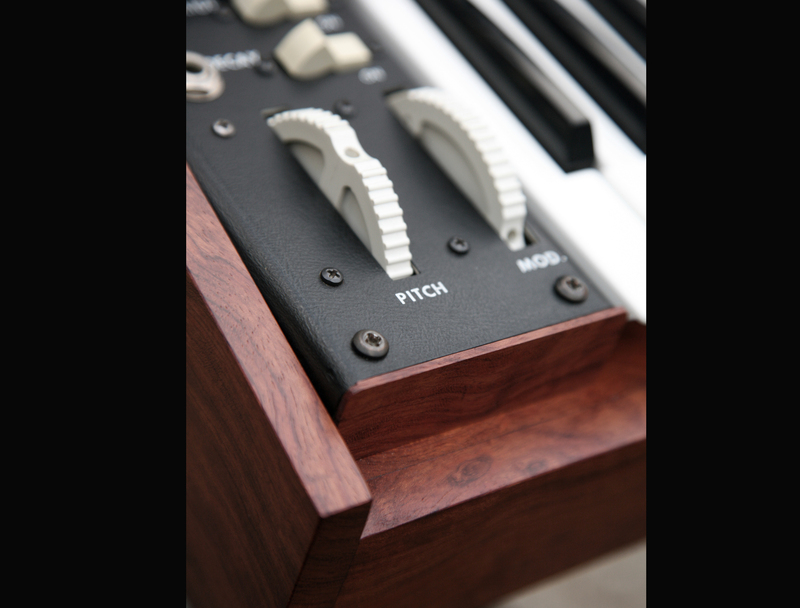 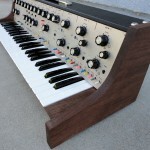 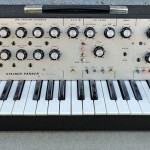 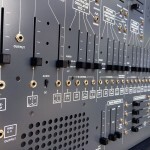 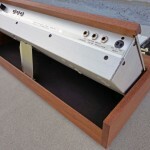 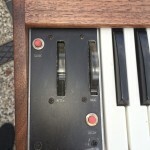 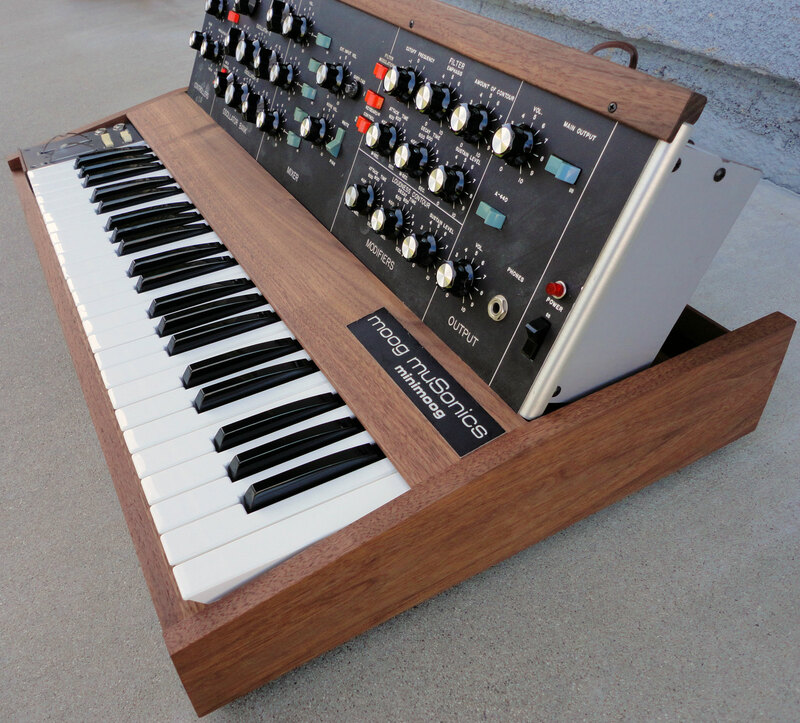 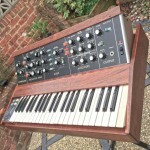 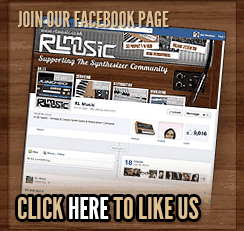 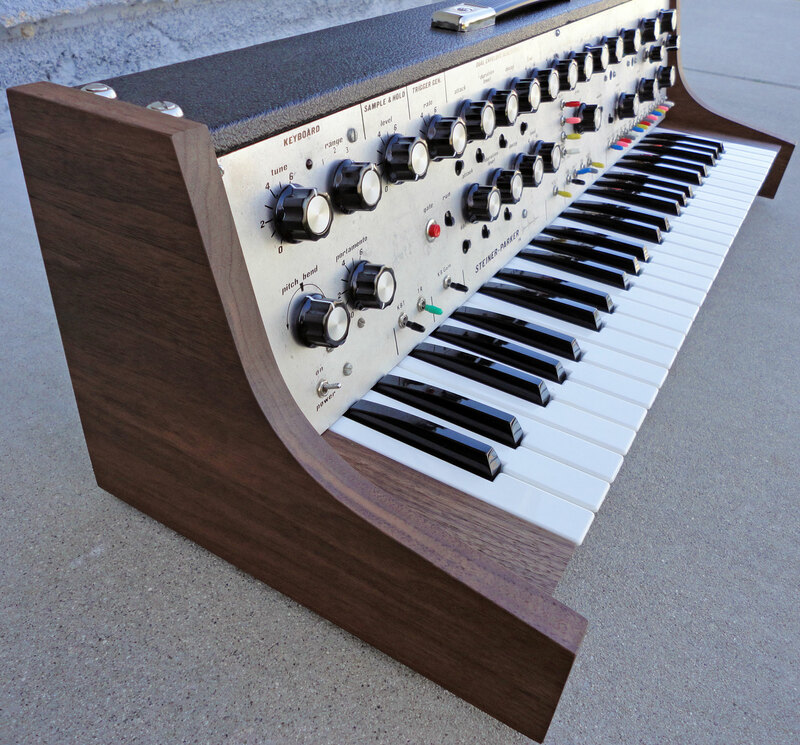 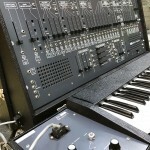 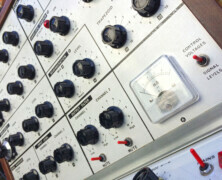 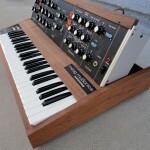 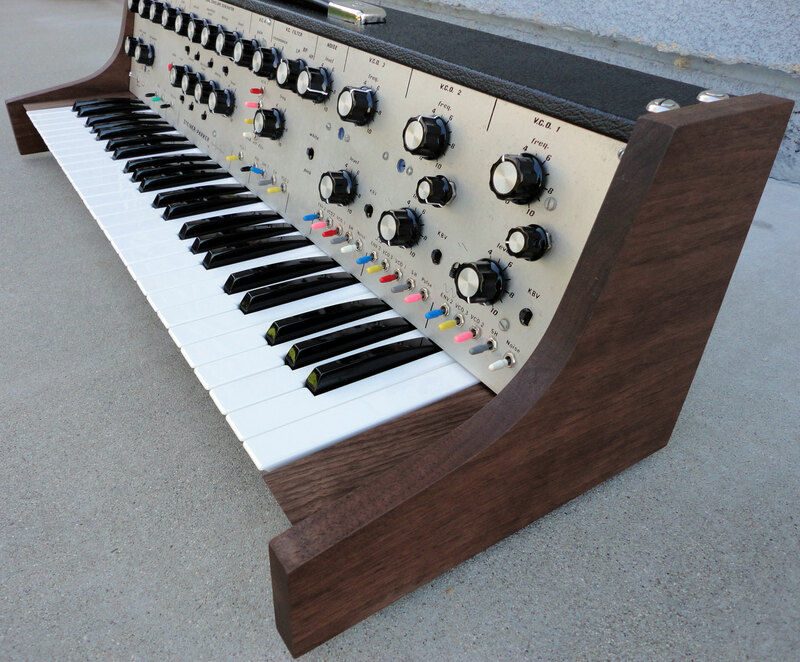 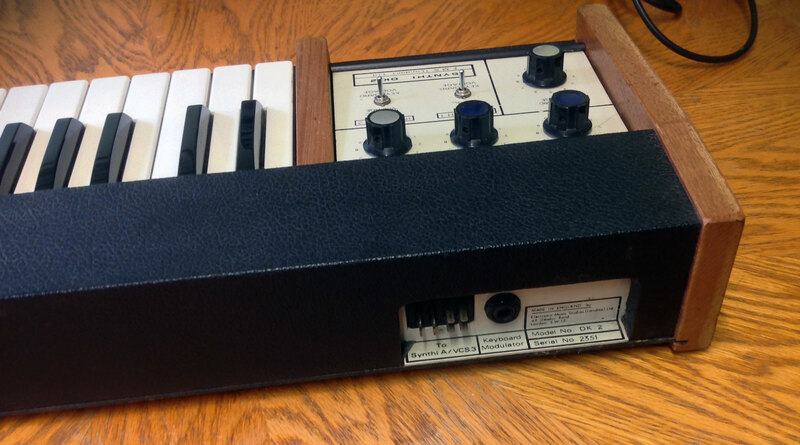 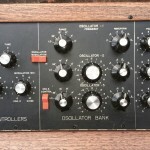 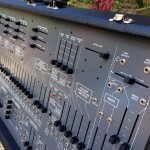 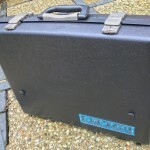 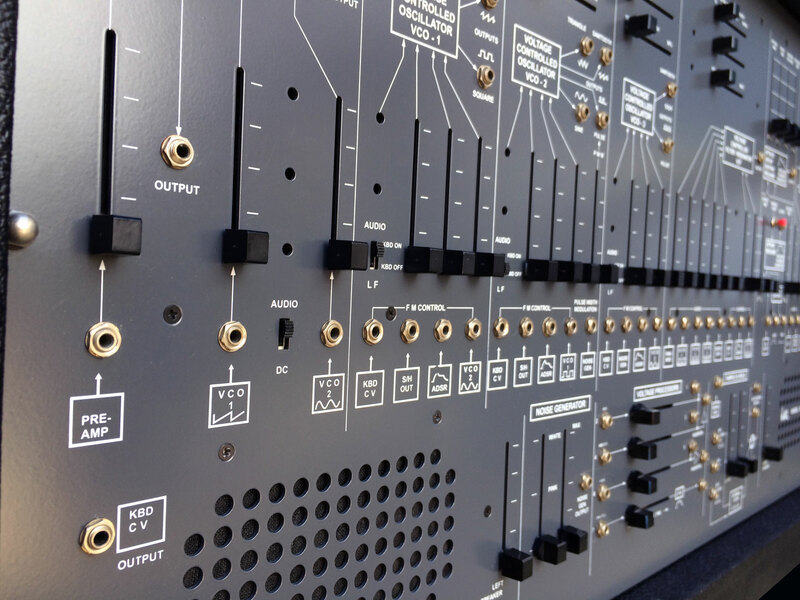 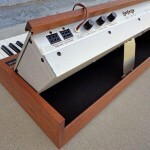 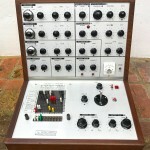 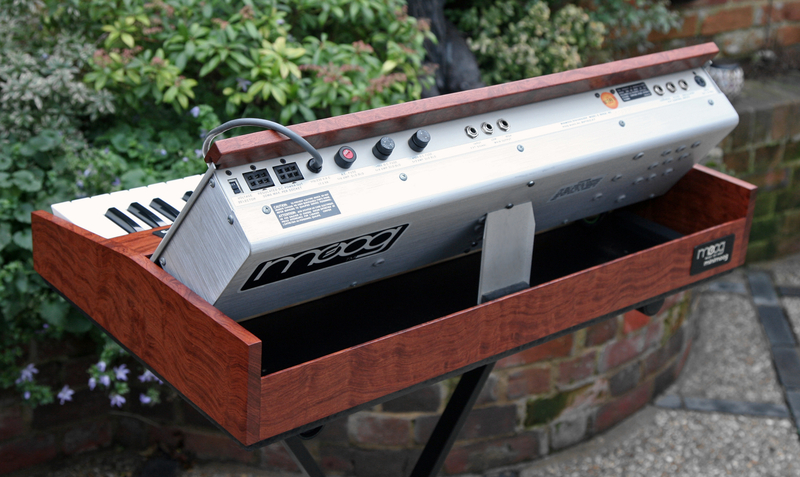 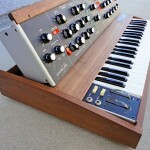 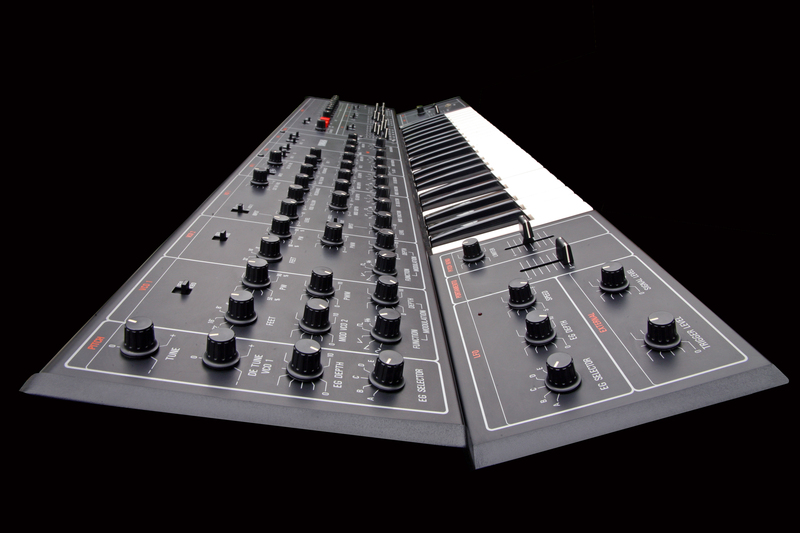 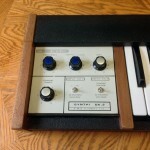 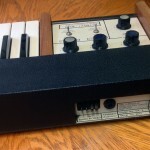 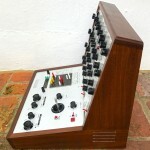 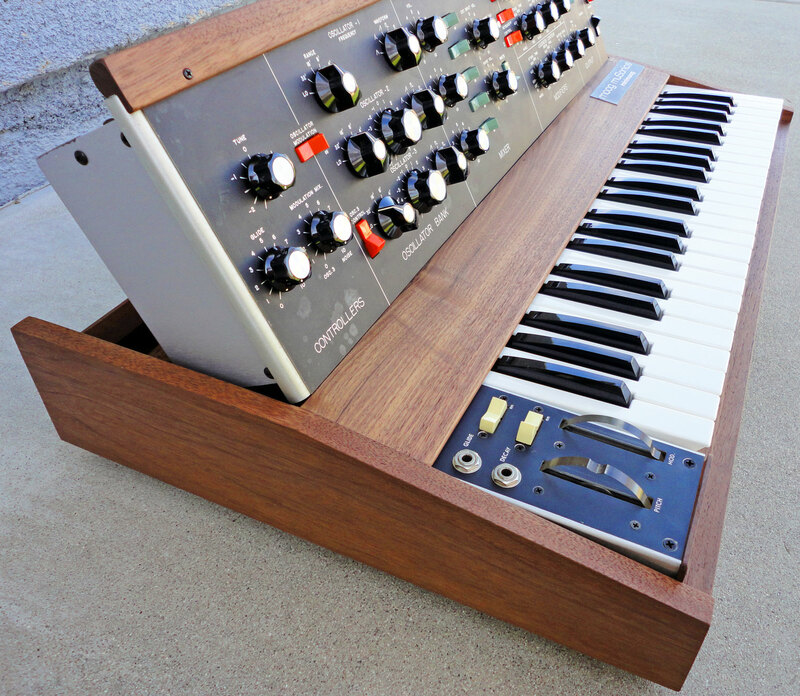 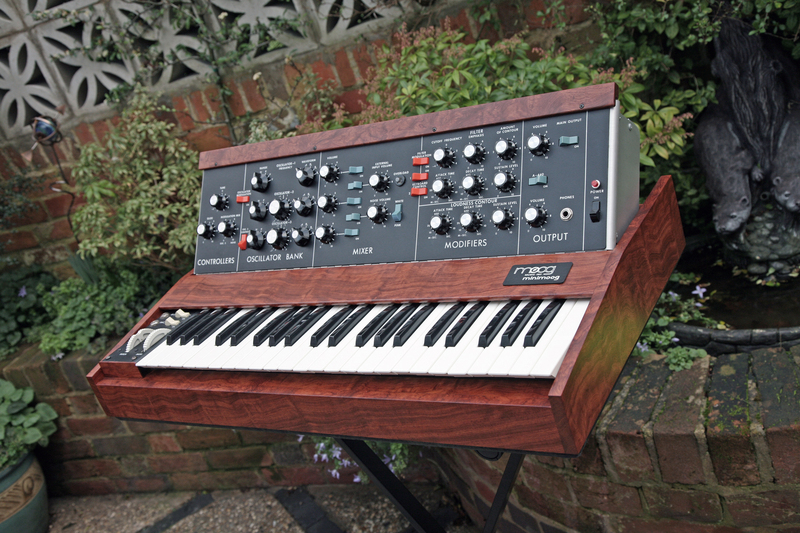 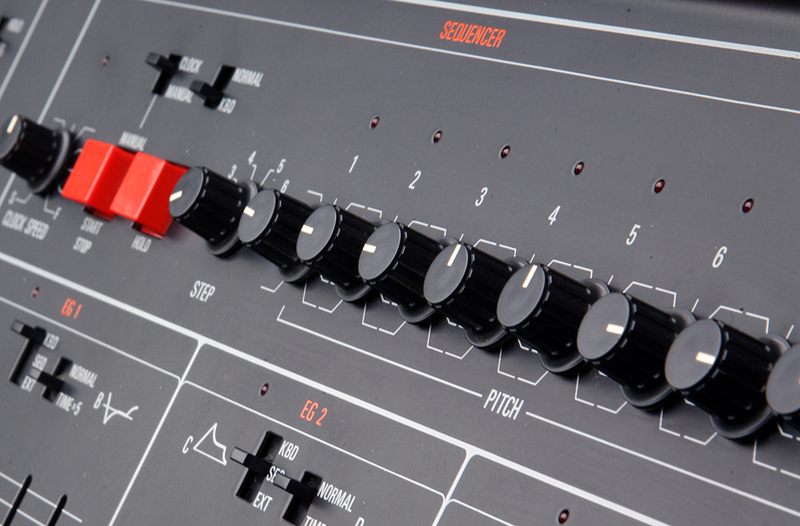 We present you with a 1971 manufactured RA Minimoog, now available for sale. 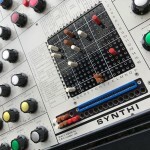 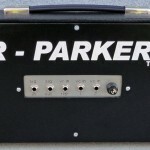 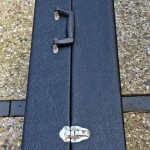 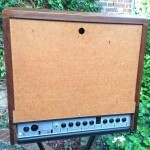 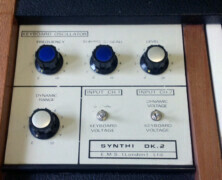 This truly historic instrument has the fabled & early designed matched transistor ladder filter. 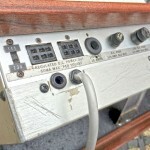 It has its original clear perspex mod-wheel housing and metal facia. 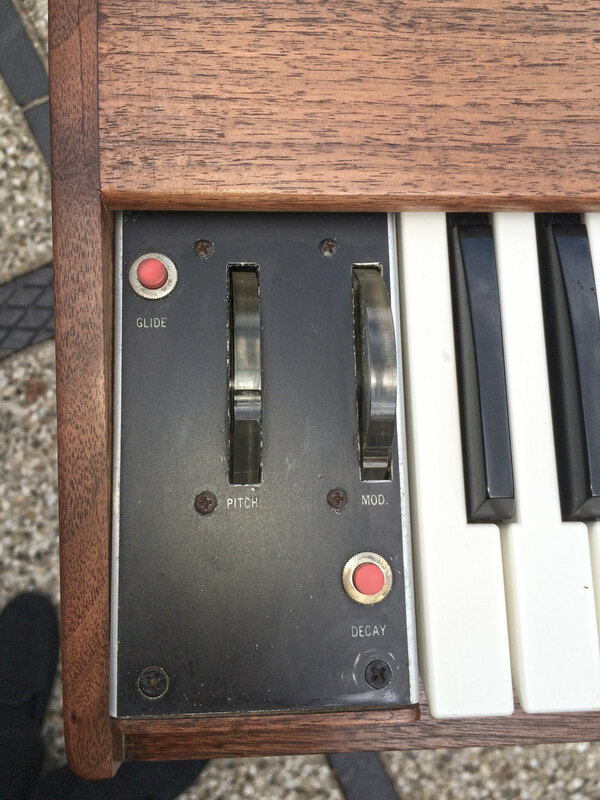 The control knobs look like they have been replaced at some time in the past as they are very clean indeed, too clean for a 45 year old Moog, but that’s not a bad thing in any way. 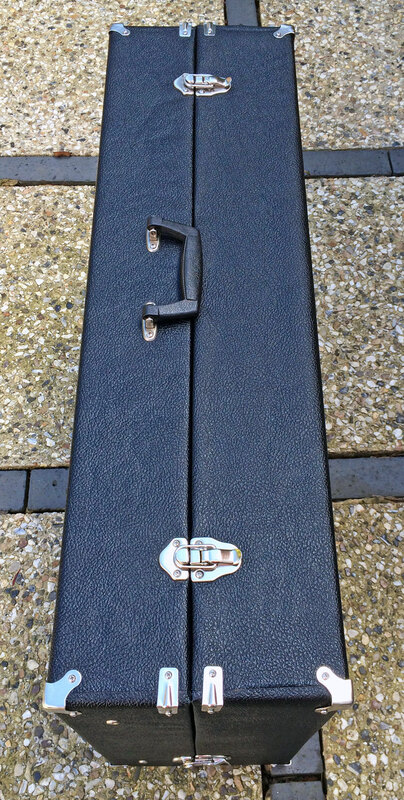 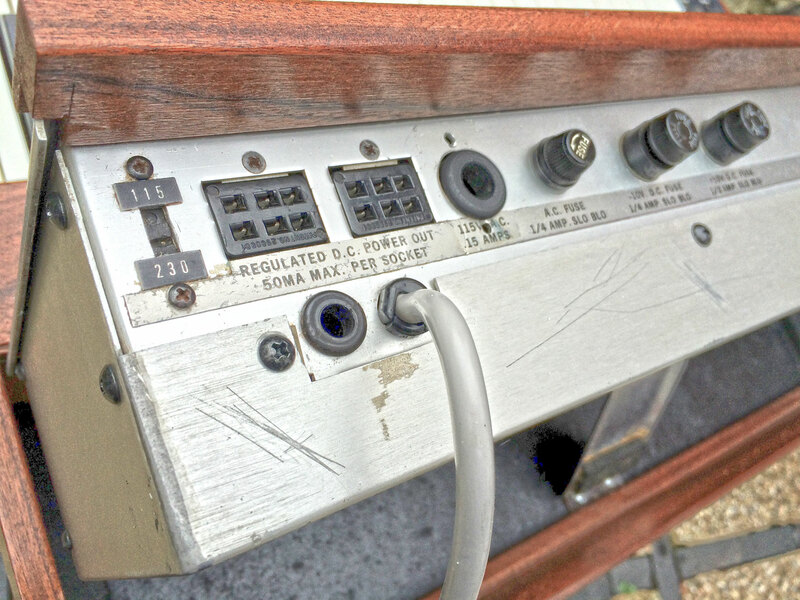 There is a faded old sticker on the rear-panel with the serial number #1112 on. 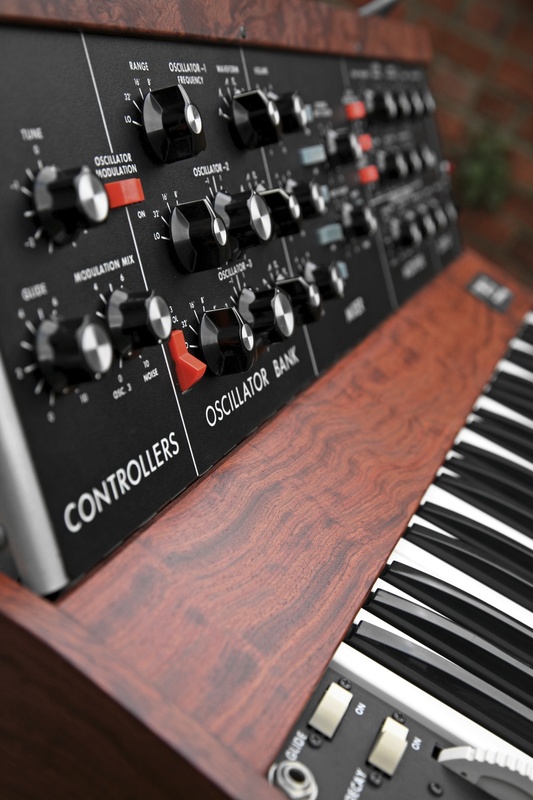 It has to be one of many peoples life dream to own such an extraordinary instrument, and we are no different. 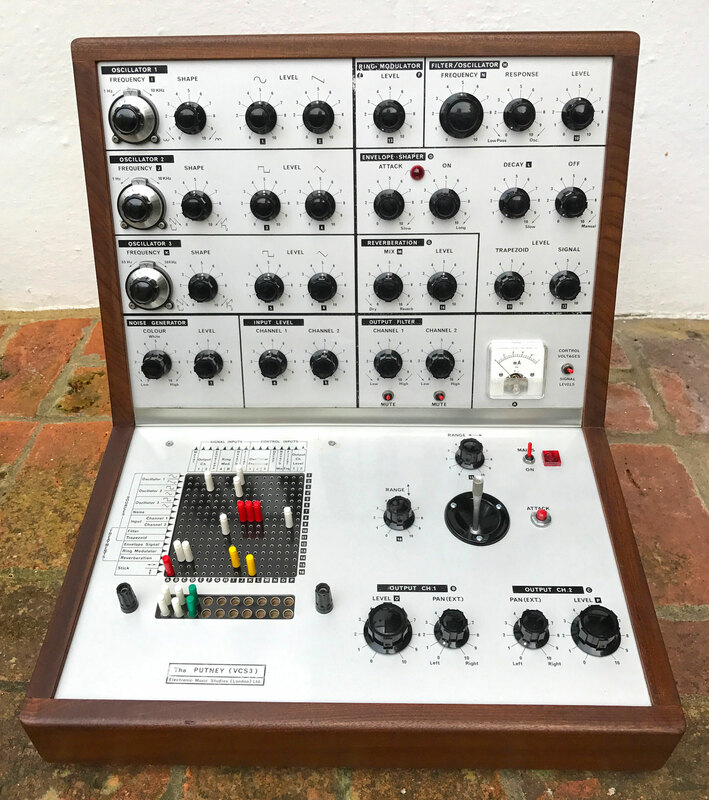 Ordinarily an historic instrument of this rarity and value is kept locked away, but we are delighted to be able to have this available for you to own and appreciate (in every sense of the word). 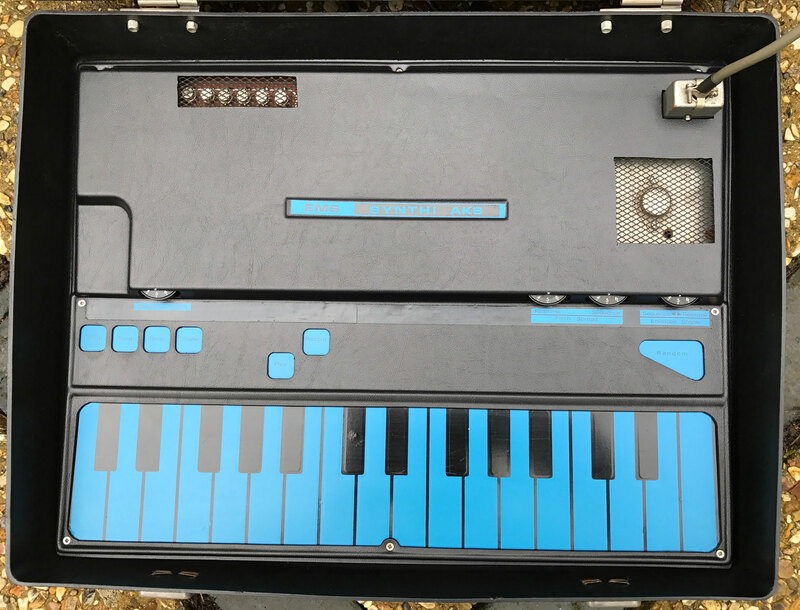 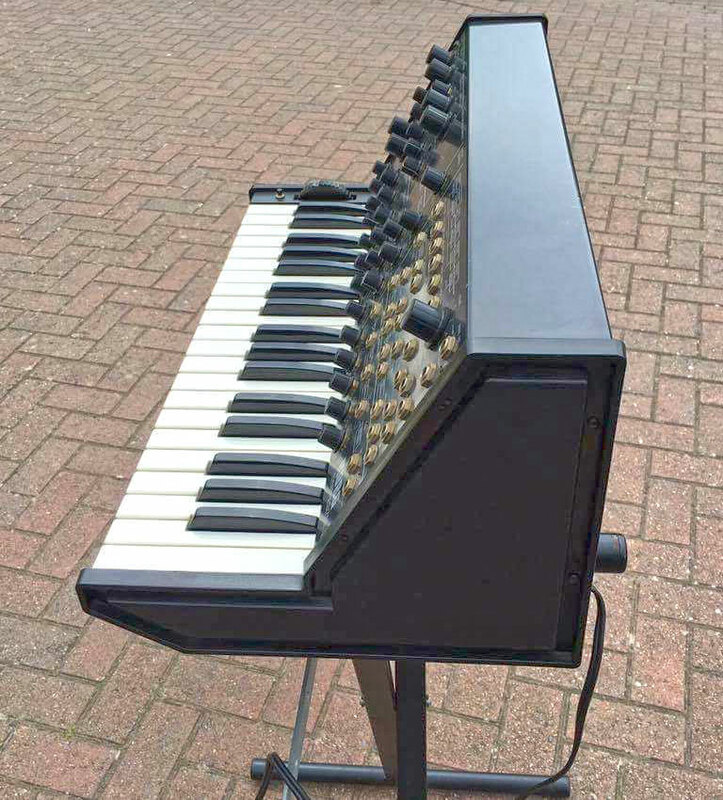 The original owner of this instrument can be traced back to Edgar Broughton, who purchased this RA Minimoog from a music store called Rotosound in Shaftsbury Avenue, London, England, in the winter of 1972 (we have letter from Edgar supporting this). 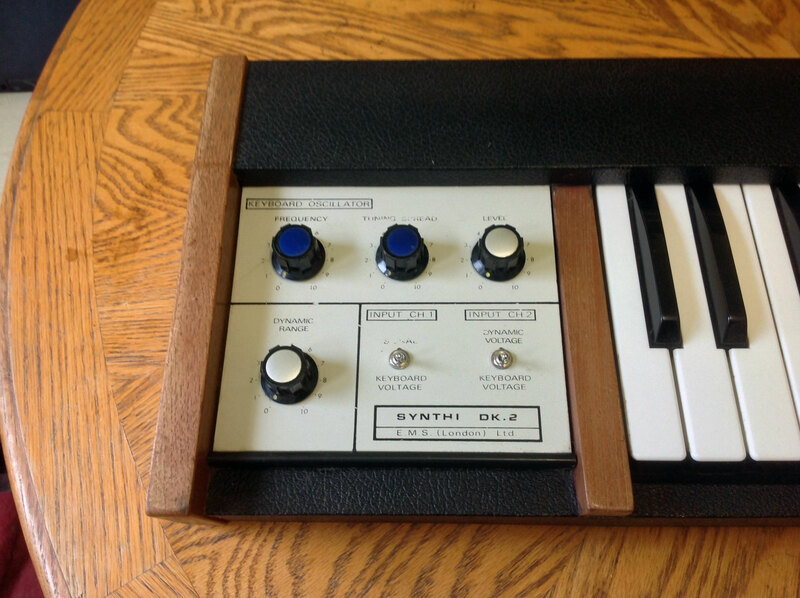 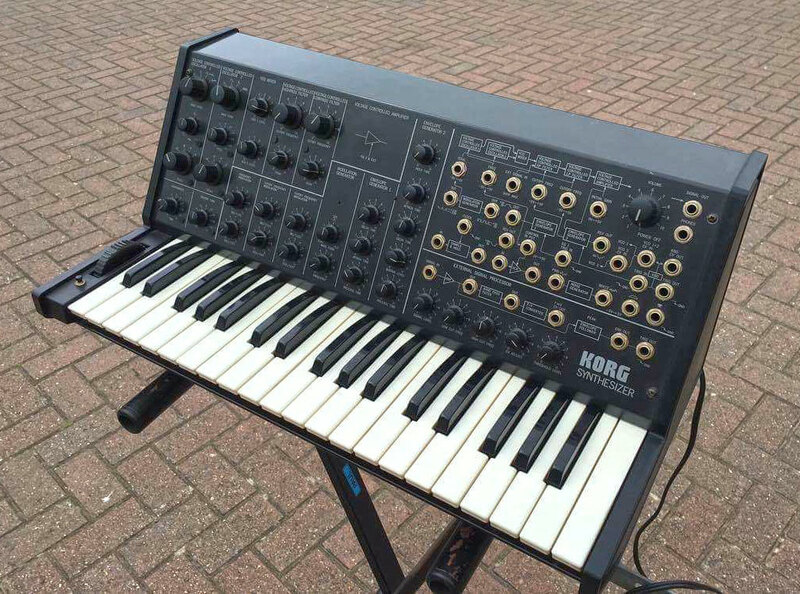 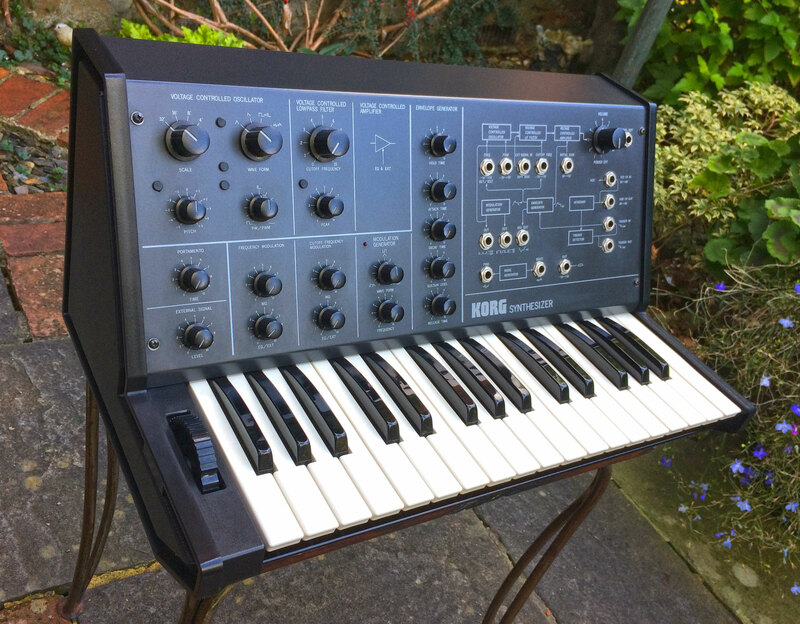 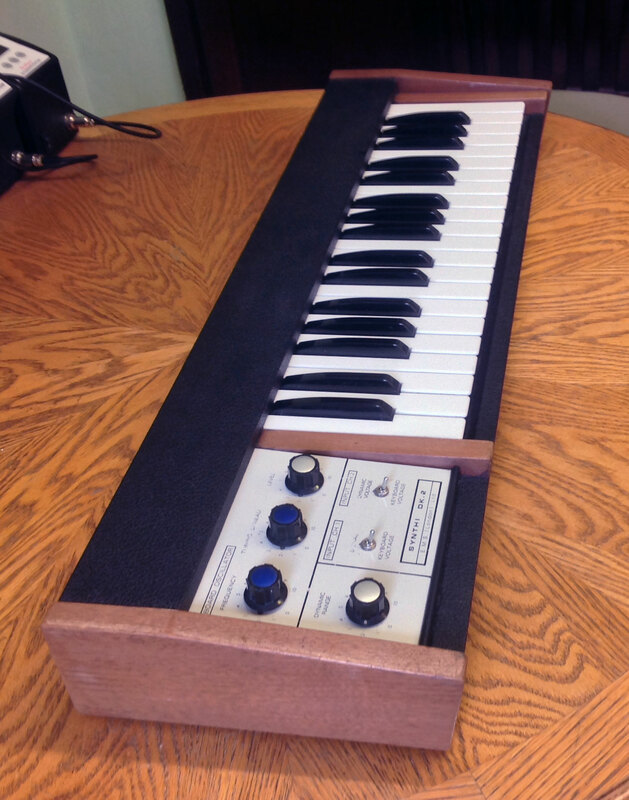 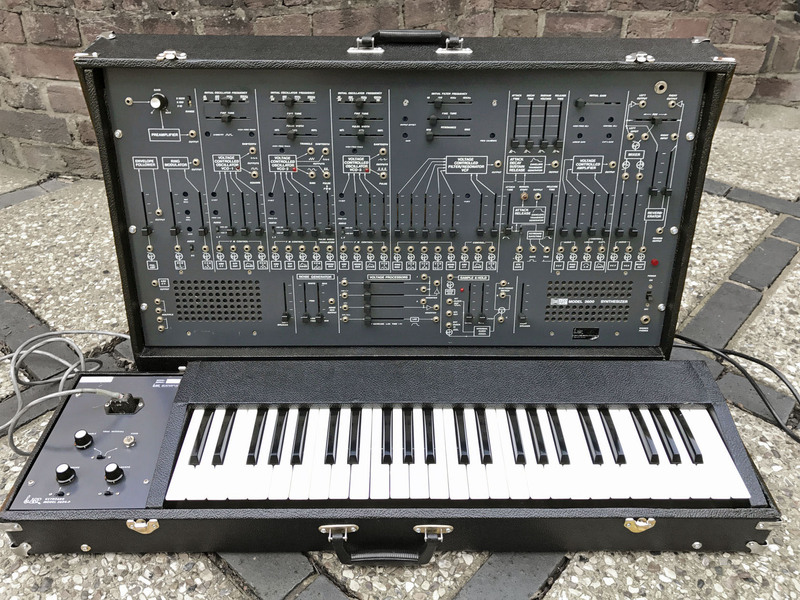 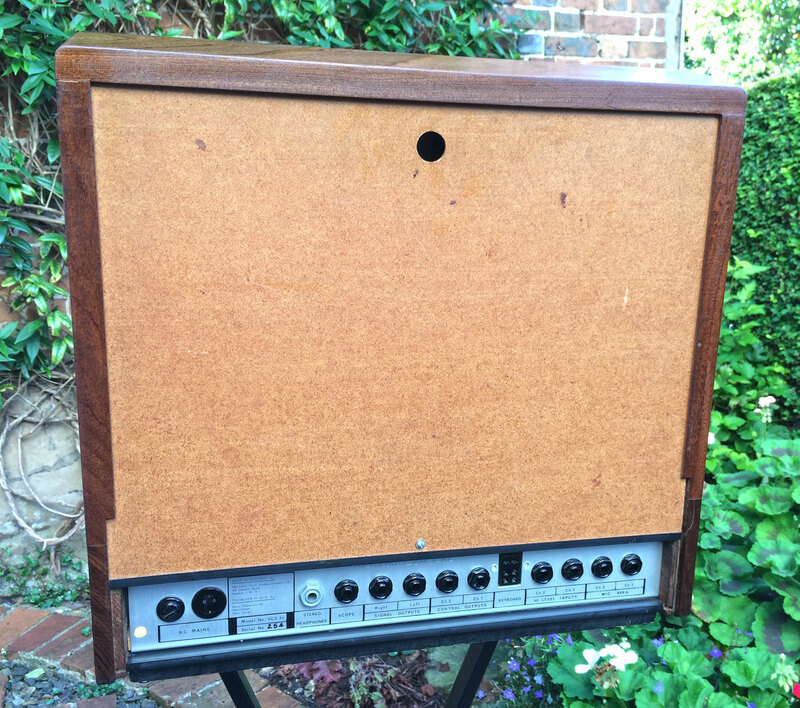 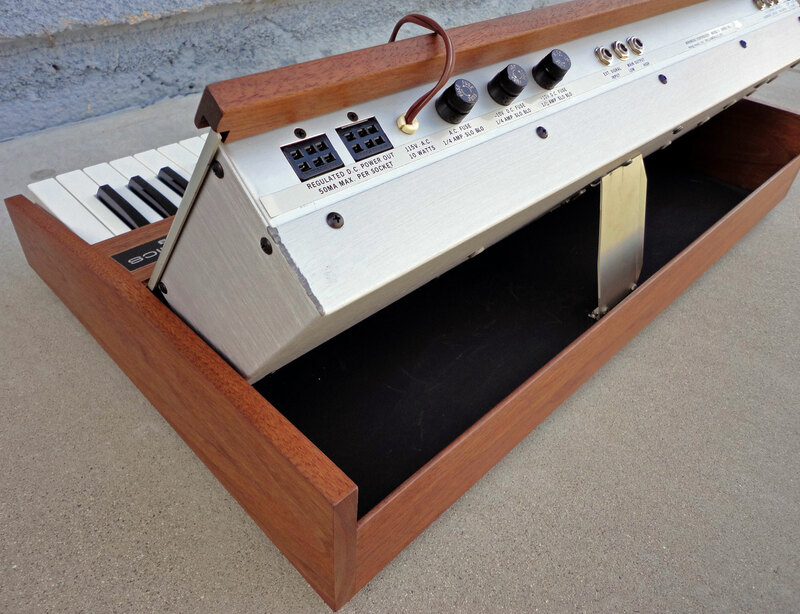 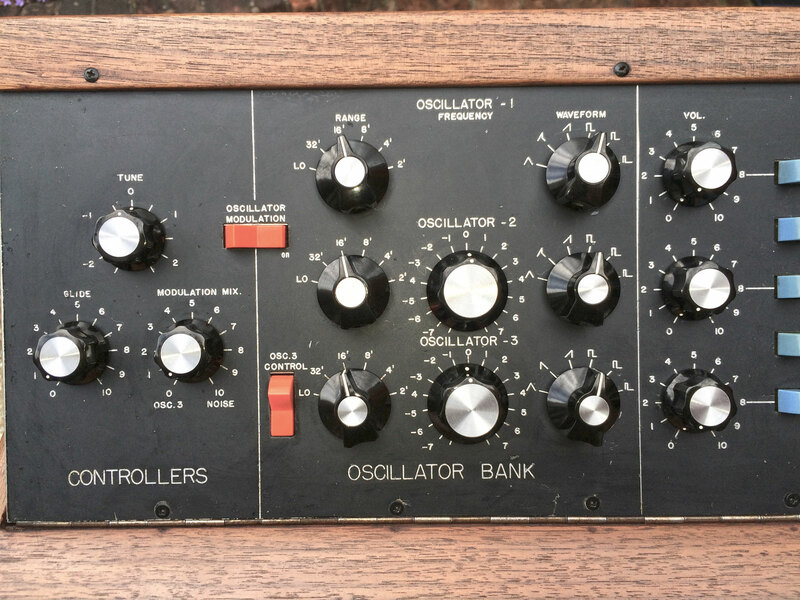 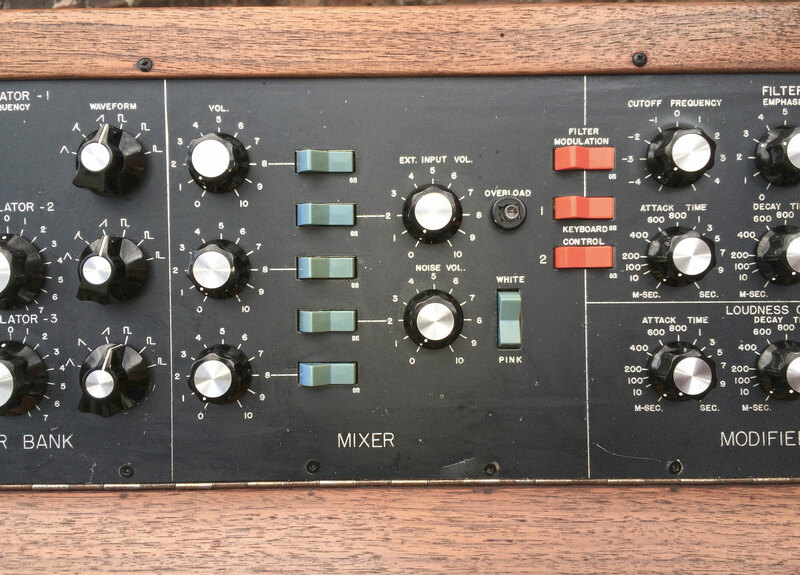 At the time of sale, it was said that this actual Moog belonged to Keith Emerson, although there is no documentary proof of that fact, so that may have been a sales tactic by the rep at Rotosound, or maybe even true…who knows! 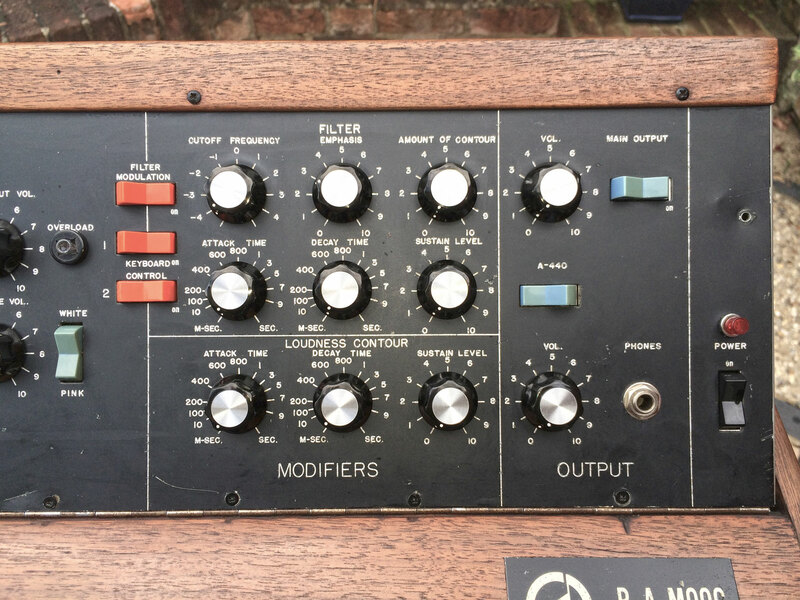 It is one of Edgar Broughton’s Brothers who has approached RL Music to Broker the RA Minimoog, so we have a direct link of ownership from almost when the RA Minimoog was manufactured – this is pretty rare as most vintage Moog change ownership several times over 45 years. 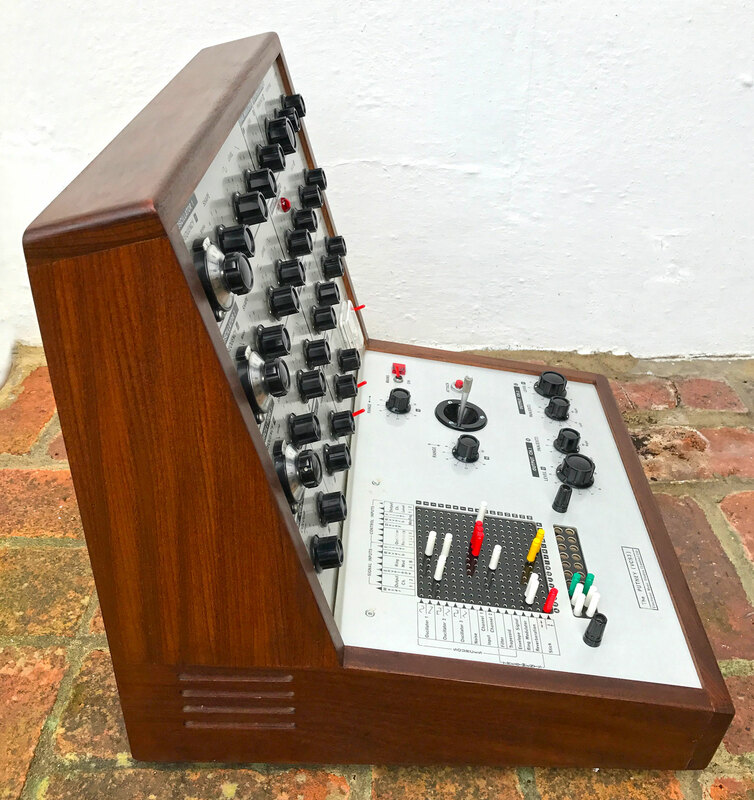 This RA Minimoog has been used as a workhorse during its long and distinguished life, and we would be the fist to say that this example is properly well used machine, as Bob Moog meant them to be. 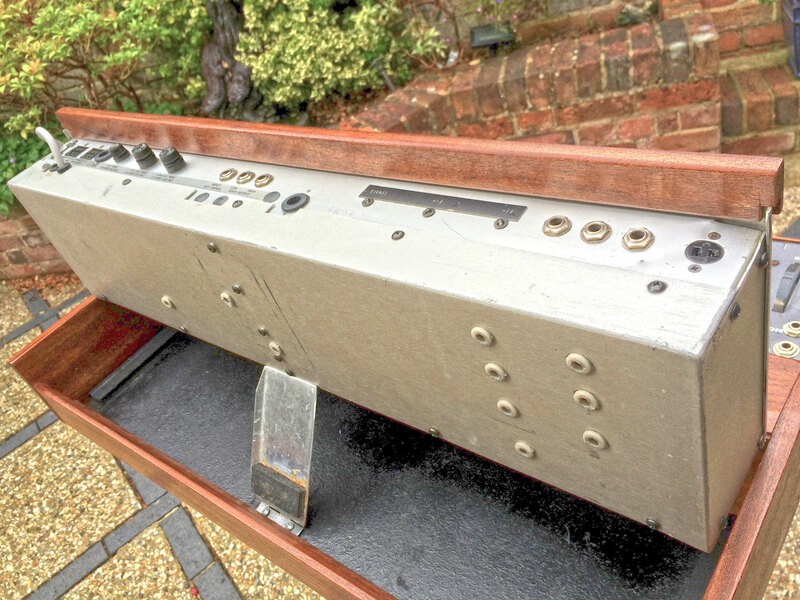 You can see from the pictures that there are plenty of signs of wear and tear to the control surfaces, keys and cabinet, but KSR have undertaken a complete restoration to bring the presentation back to the best it can be whilst retaining its original character. 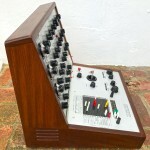 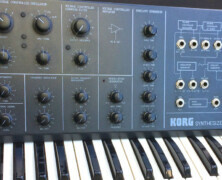 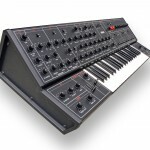 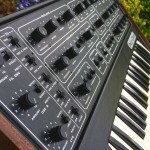 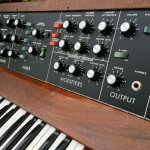 The Moog was probably converted to run 220V at some time in its life as we think this would have originally been 110V. 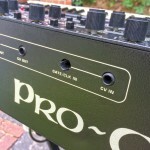 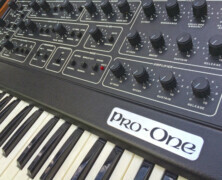 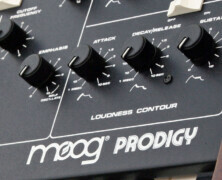 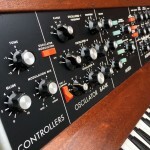 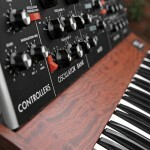 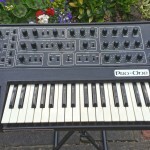 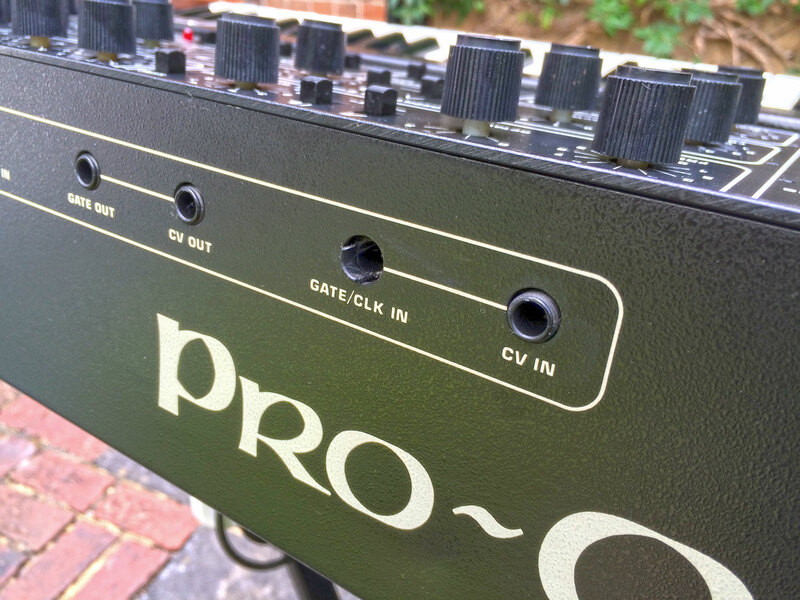 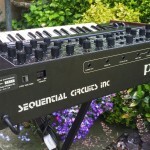 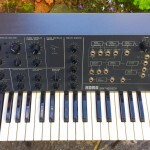 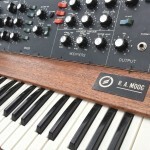 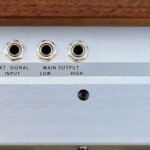 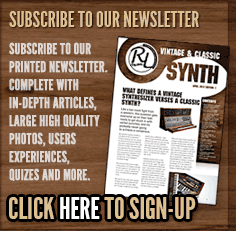 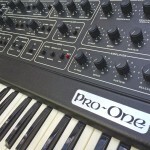 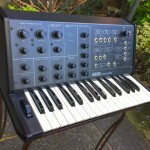 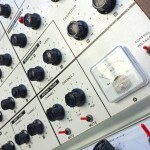 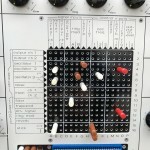 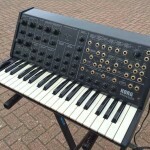 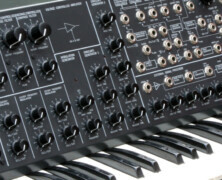 All the internal RA Moog PCBs are original, and it is here that this synth truly excels. 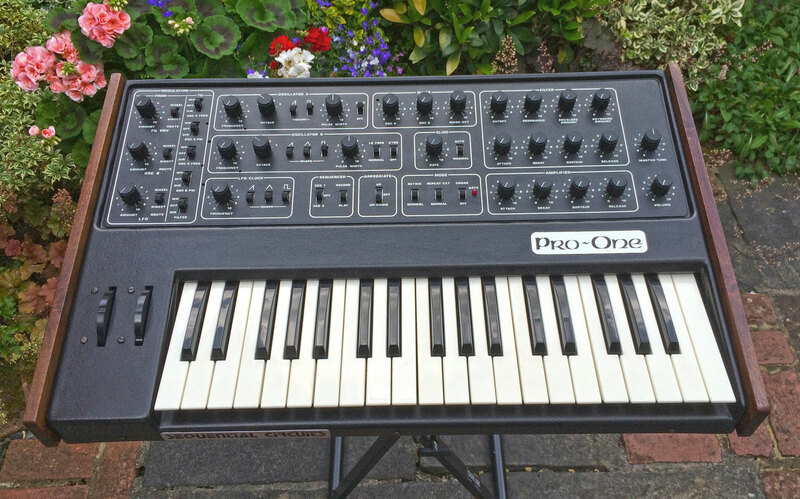 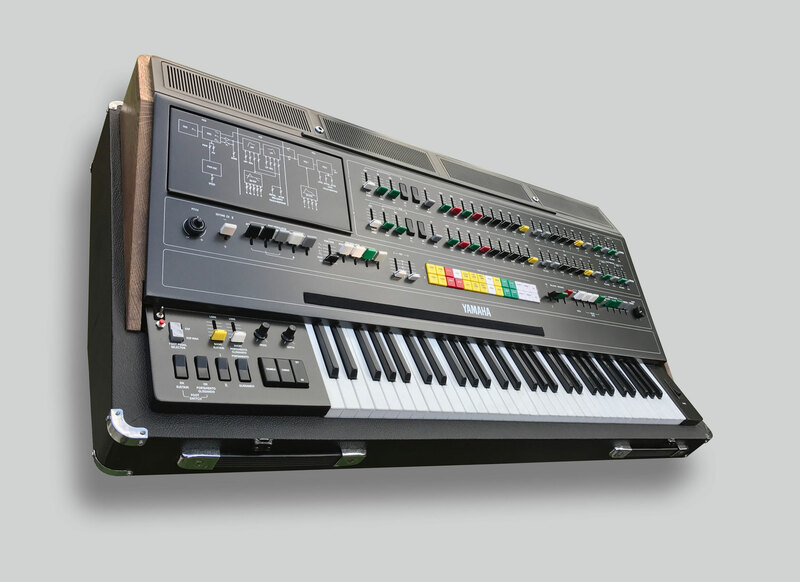 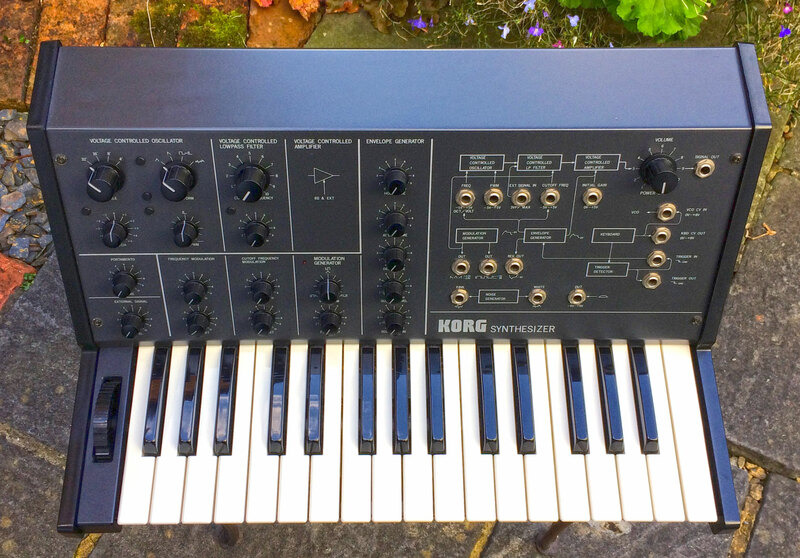 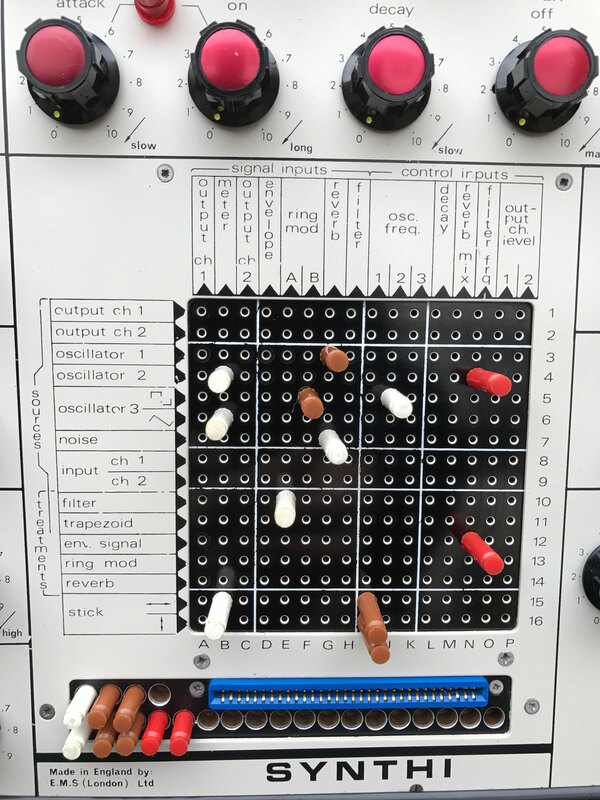 Although the synth itself had regular use, the operational side is in superb condition, and after some close attention by KSR, works 100% beautifully with it scaling/tracking exceptionally well, with very stable tuning. 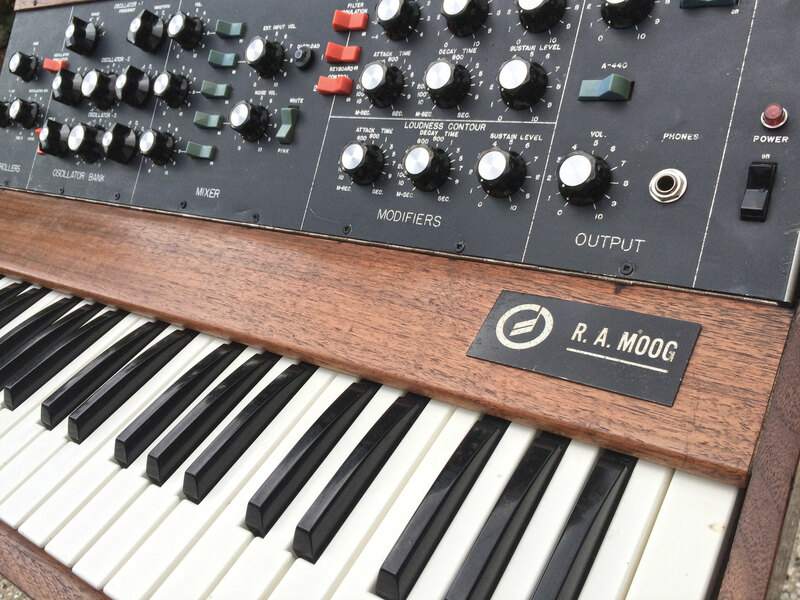 The sound of this RA Minimoog is divine and really what these are all about, thus proving that if you want the best sounding Moogs, then you’ve got to look way back to the early 1970s to get the real deal. 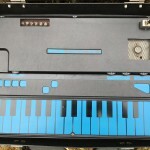 What did KSR do in terms of restoration? 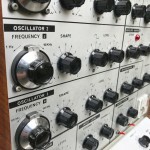 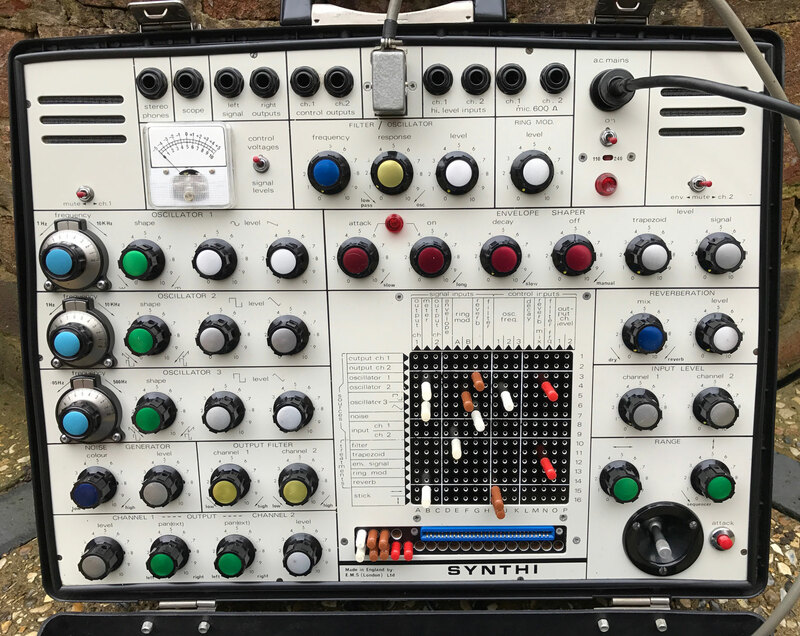 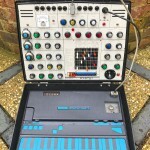 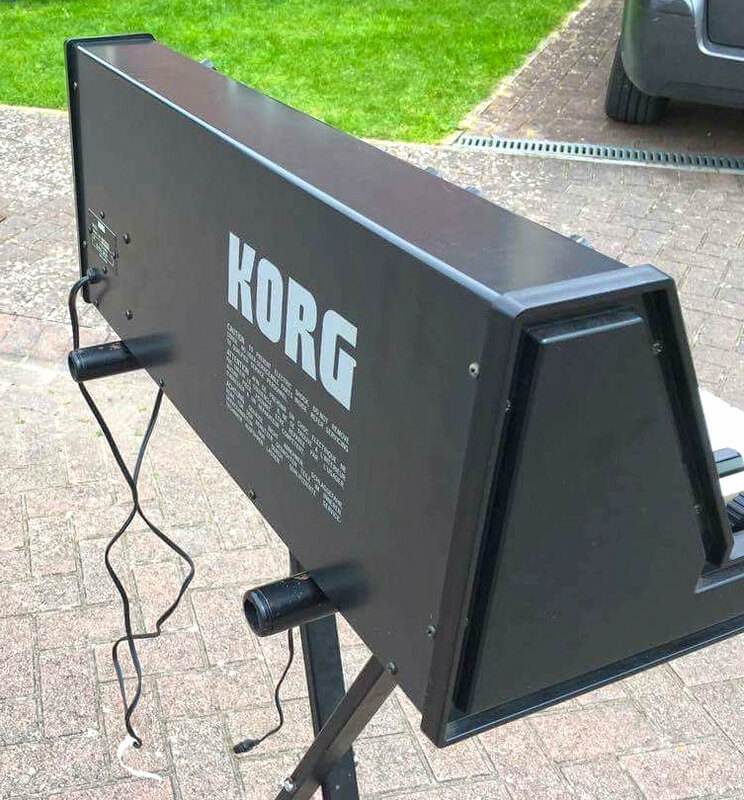 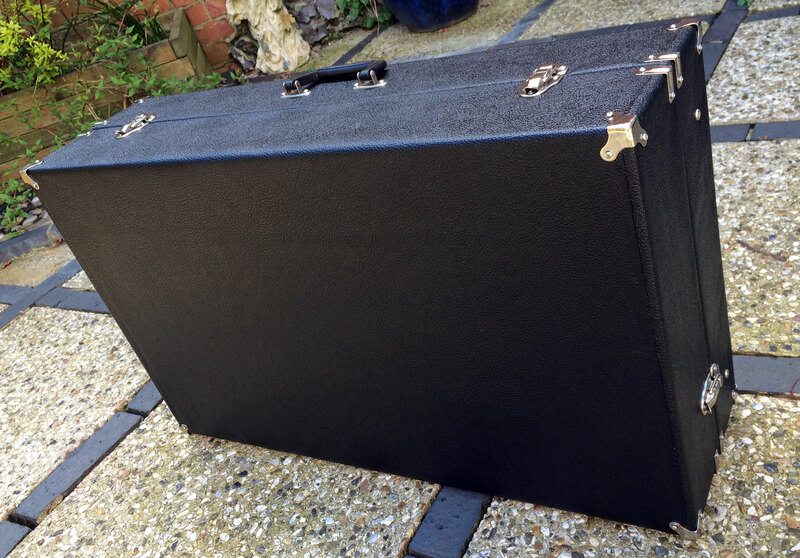 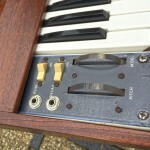 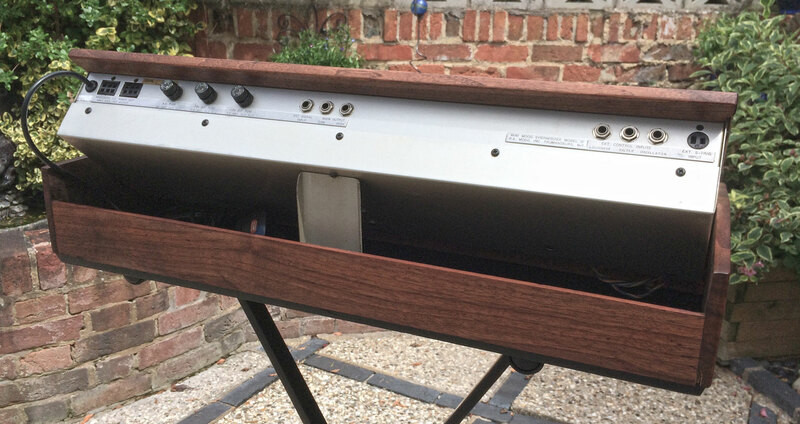 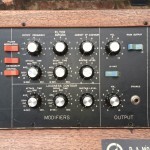 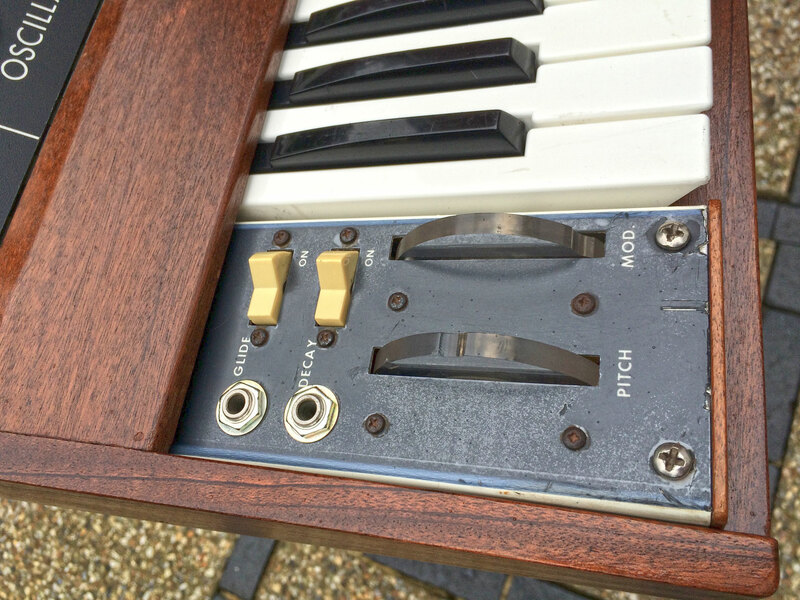 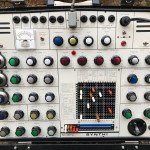 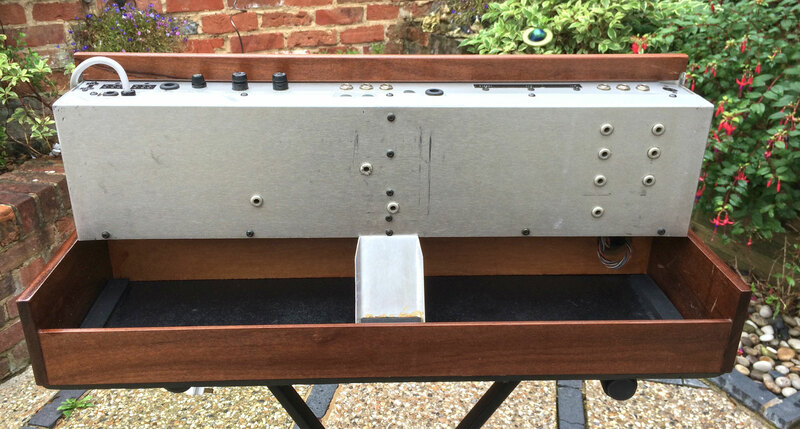 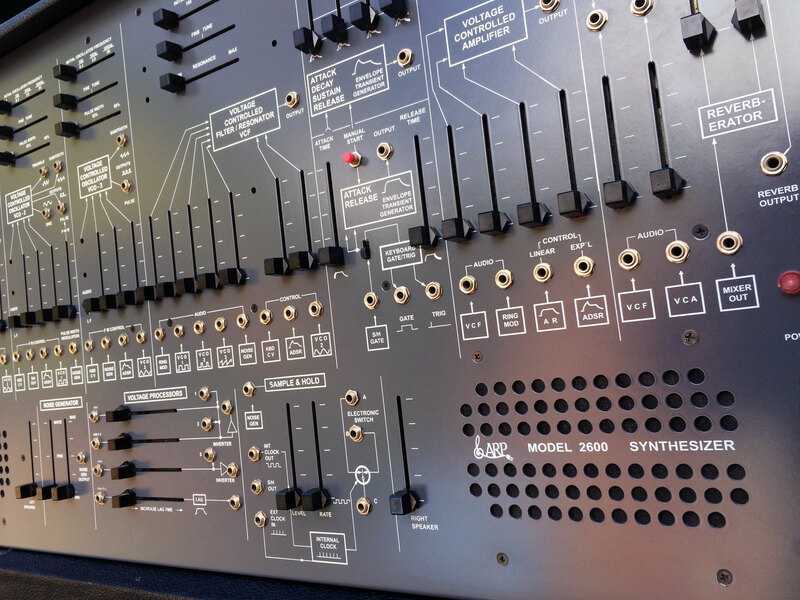 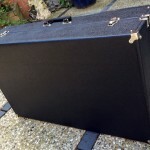 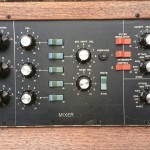 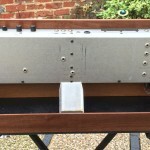 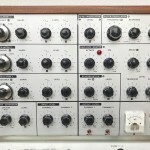 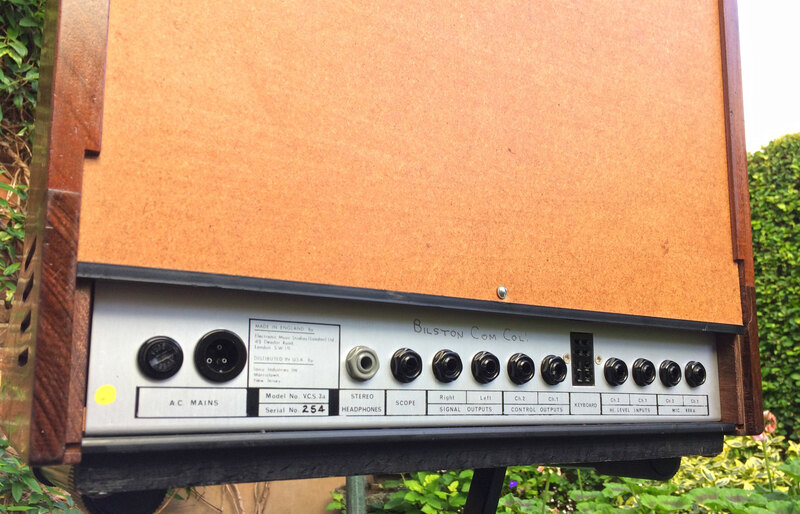 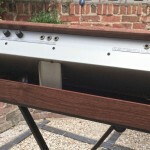 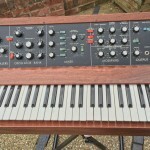 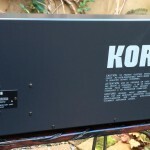 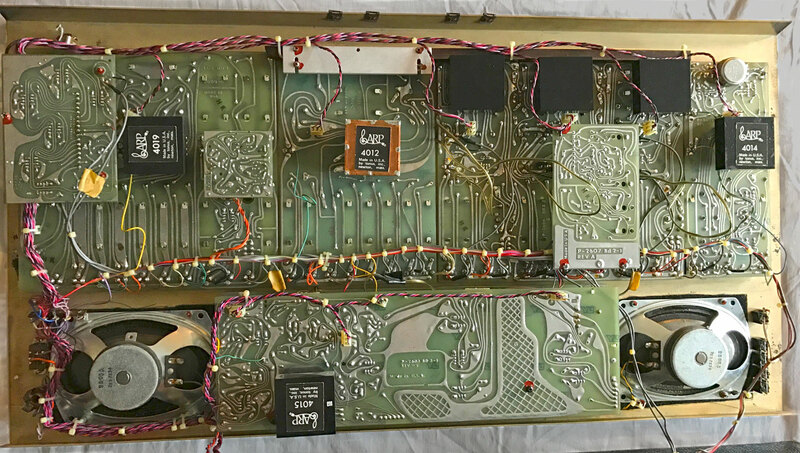 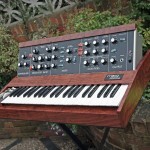 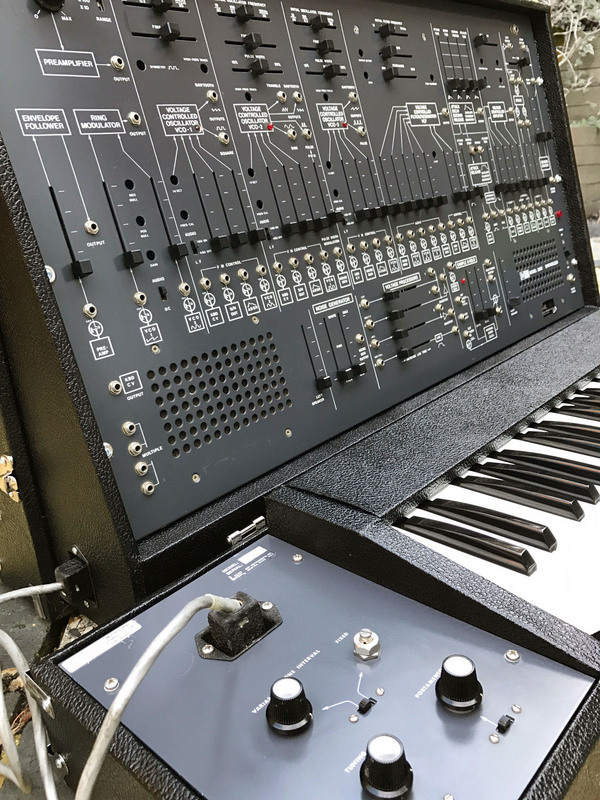 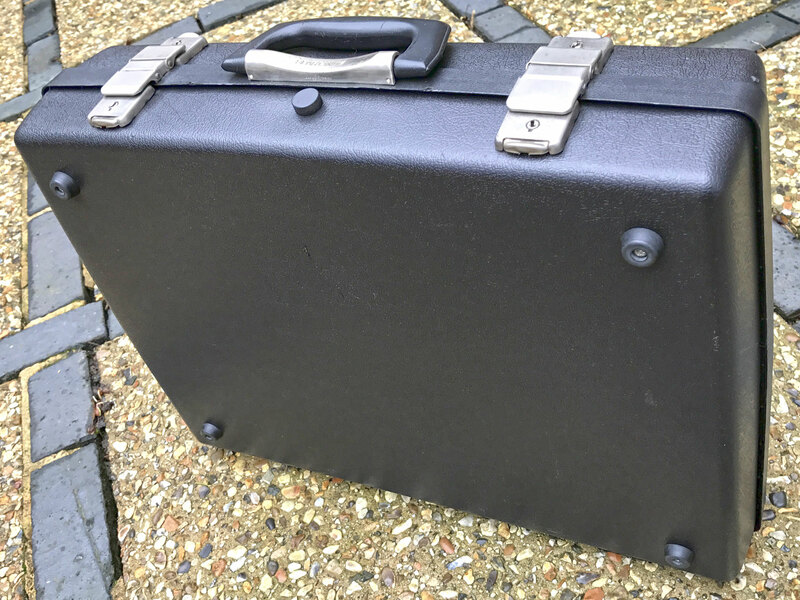 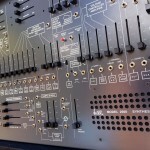 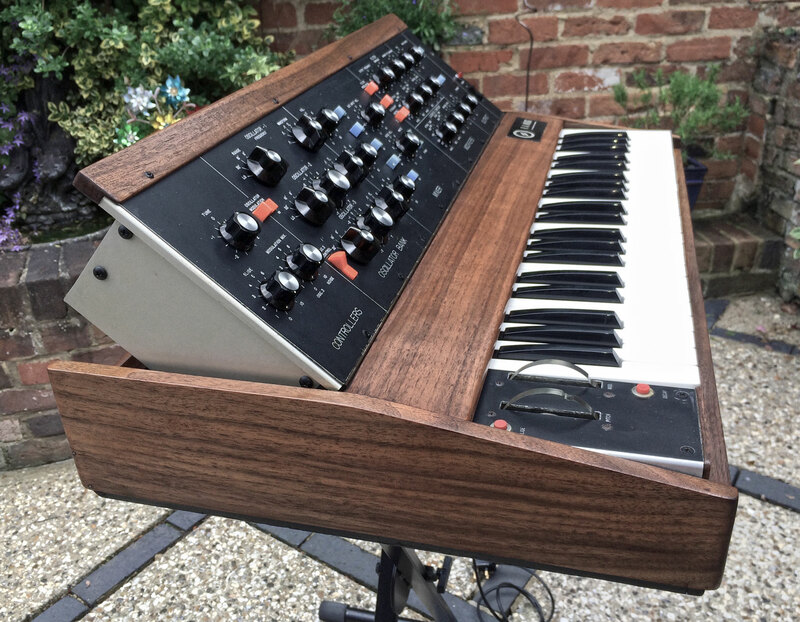 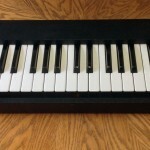 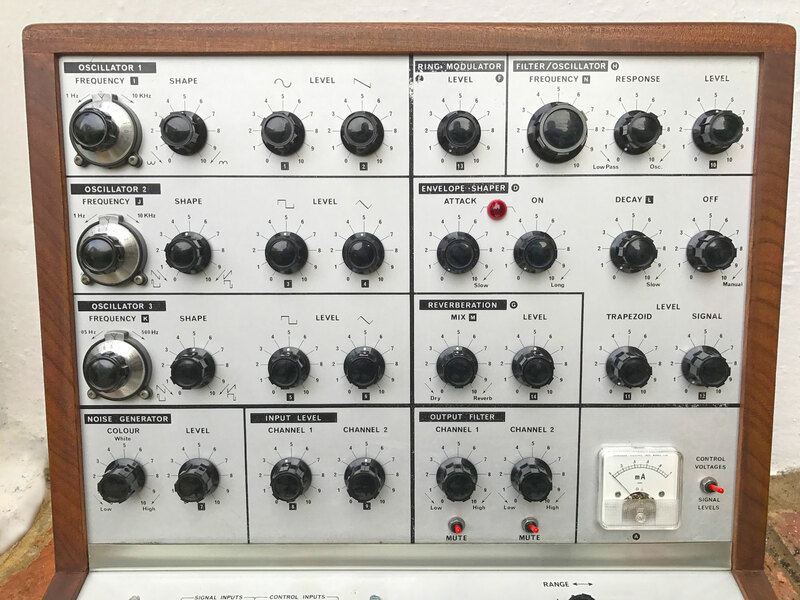 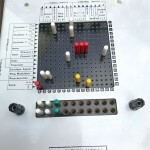 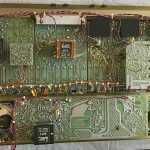 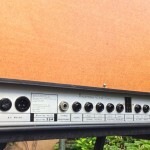 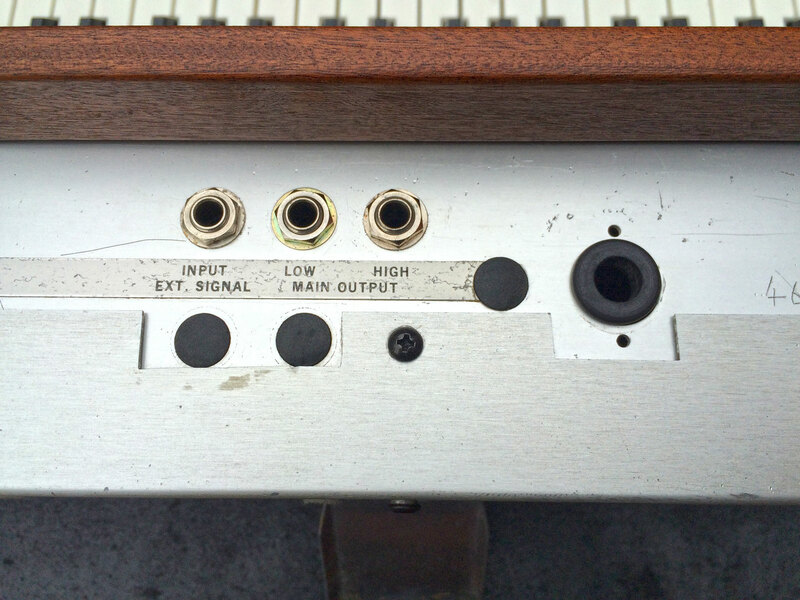 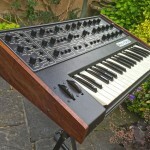 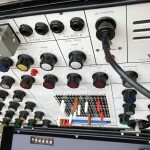 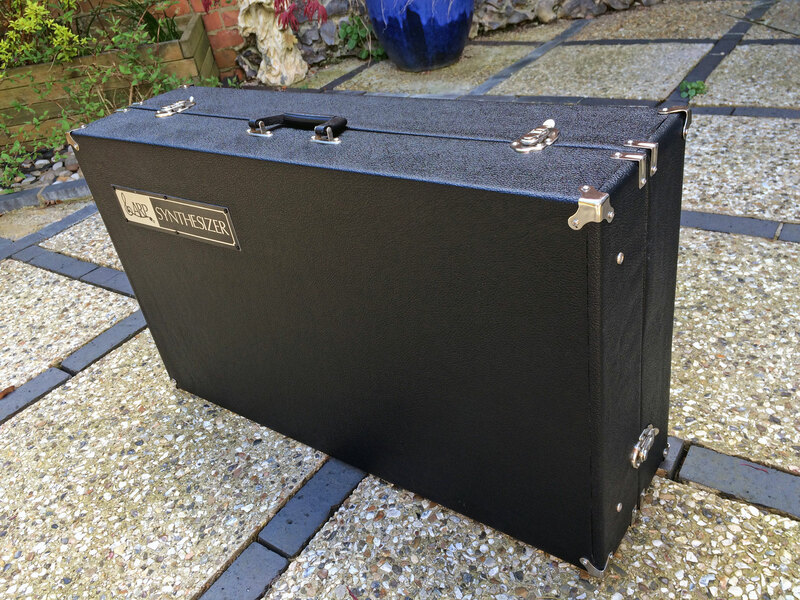 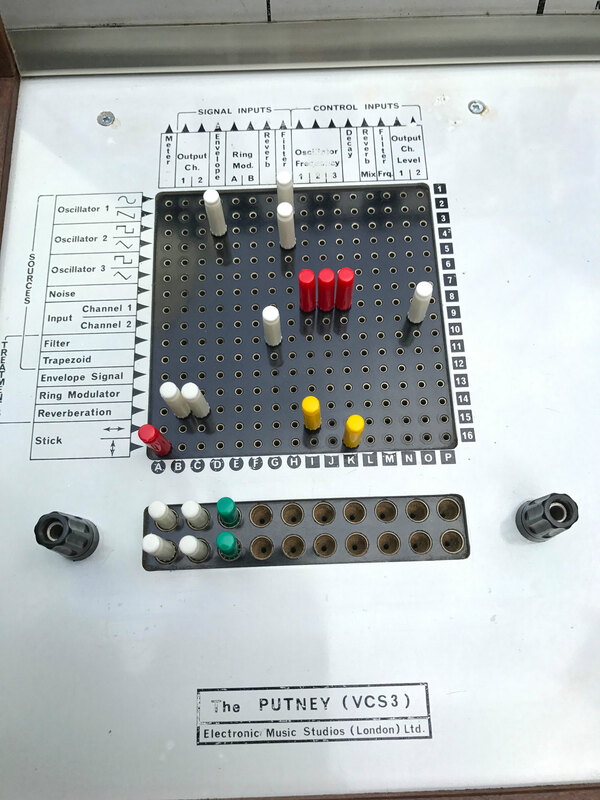 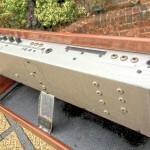 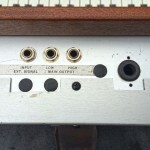 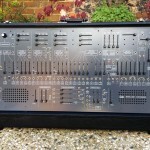 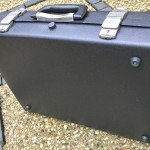 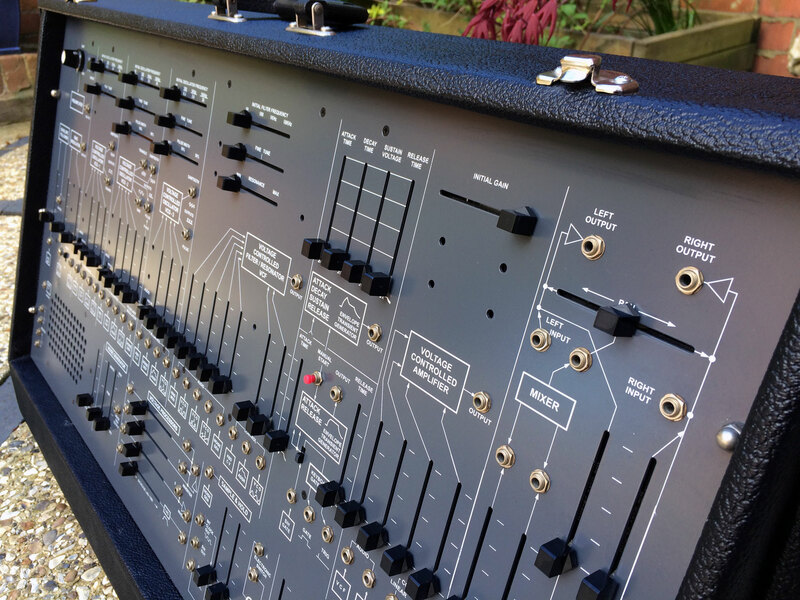 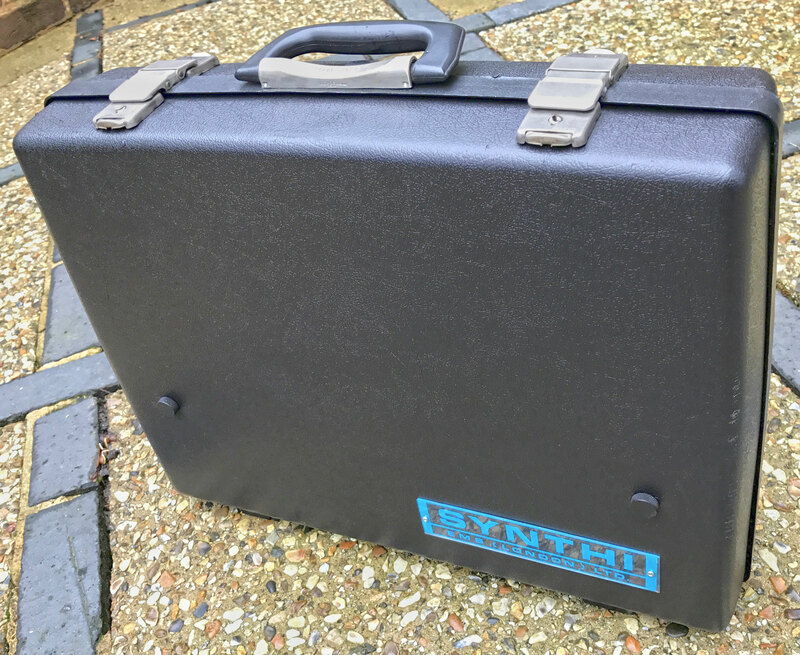 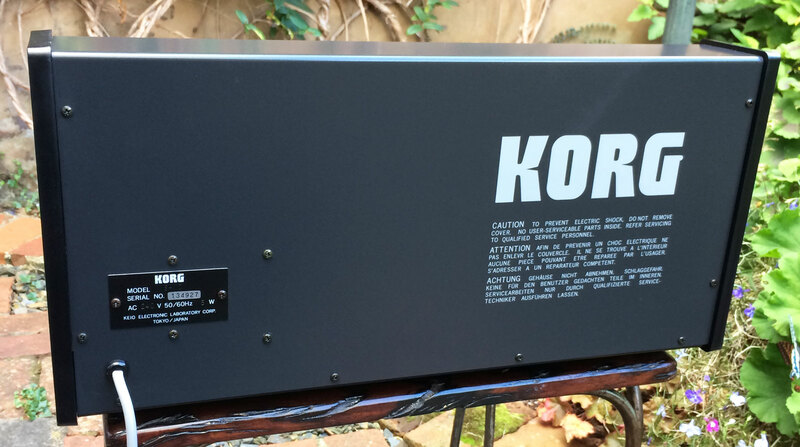 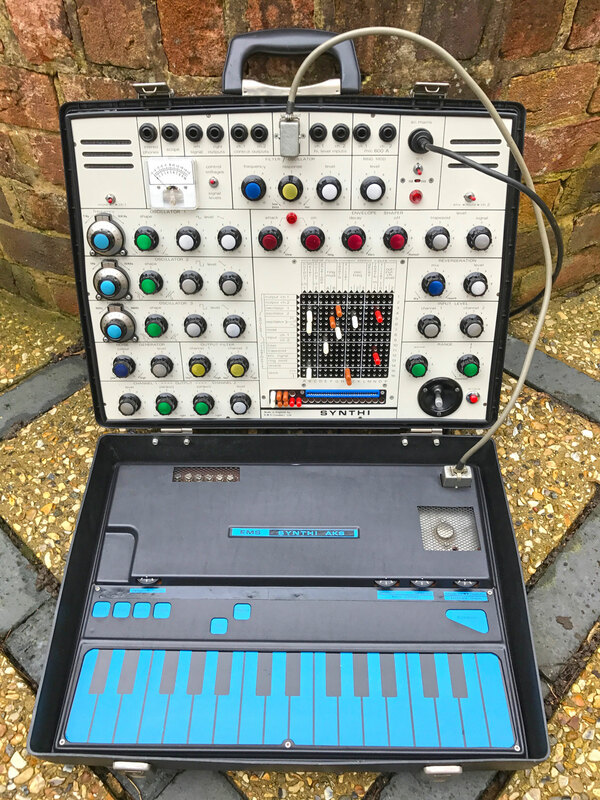 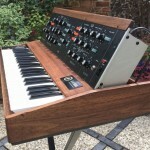 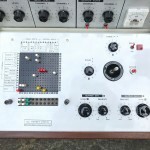 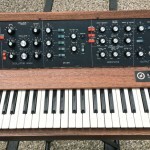 My trusted Vintage Moog restoration expert, Kent Spong of KSR – London, has undertaken a sympathetic approach to the restoration to ensure it has retained the authentic essence of a 45 year old Moog synthesizer. 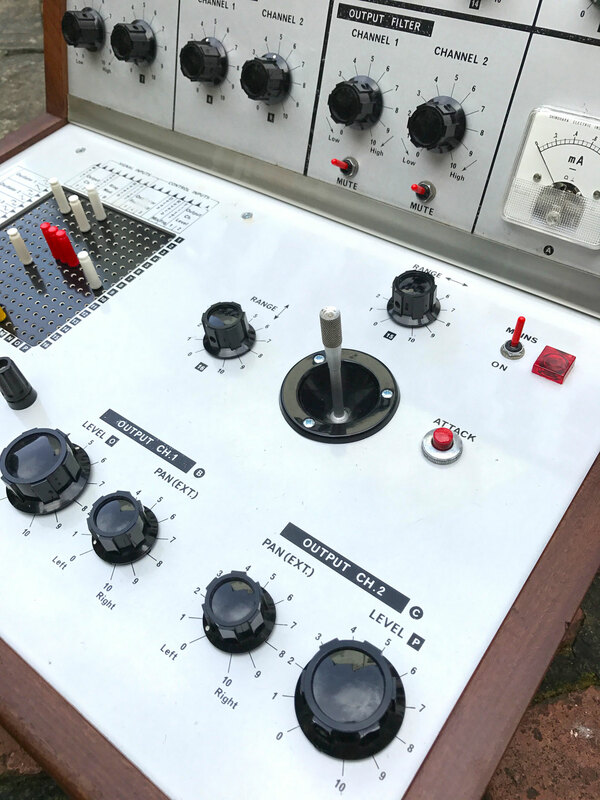 The Minimoog has been completely rebuilt from scratch: The key-bed has been fully overhauled and re-bushed, deep cleaning to pots and switches, plus a full test and calibration ect. 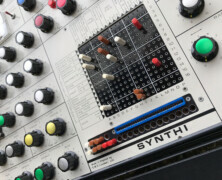 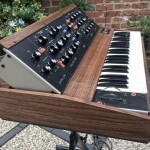 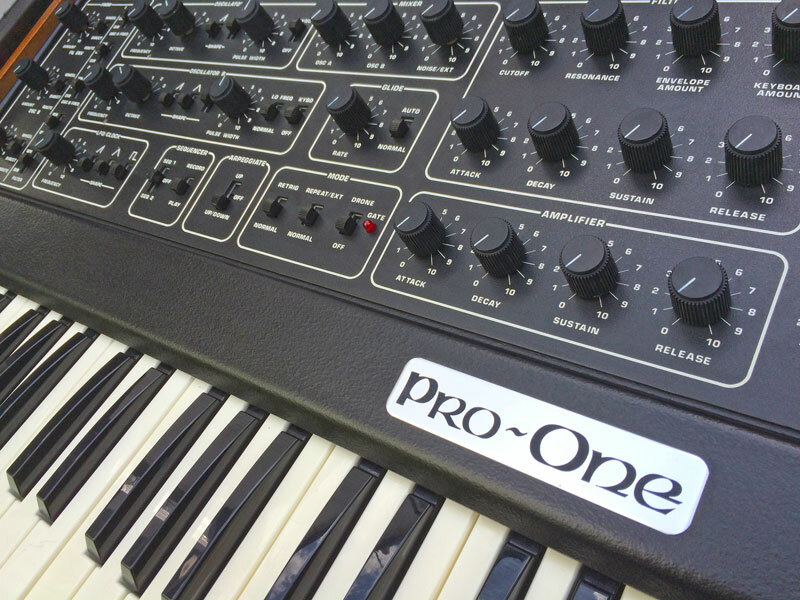 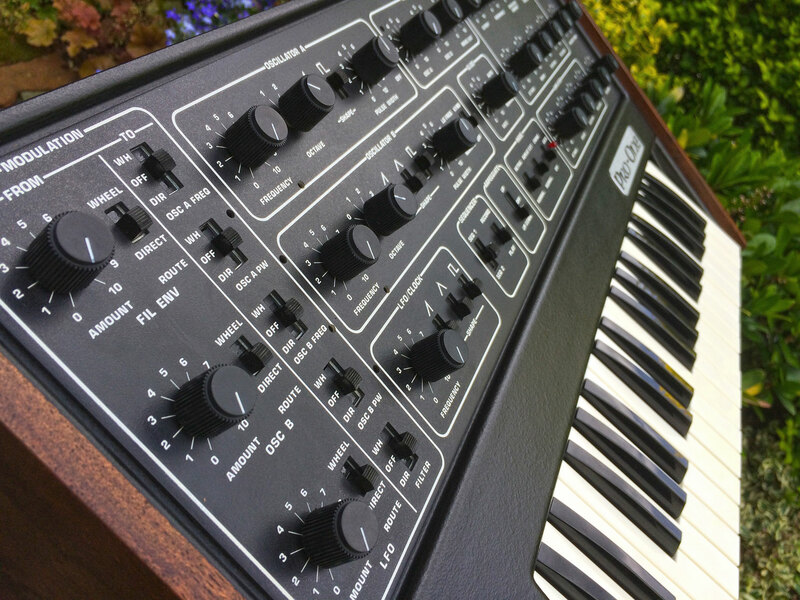 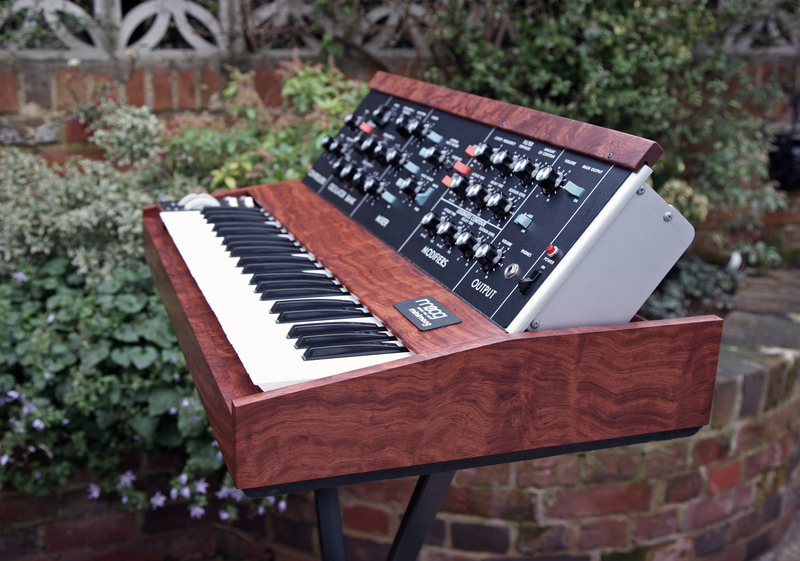 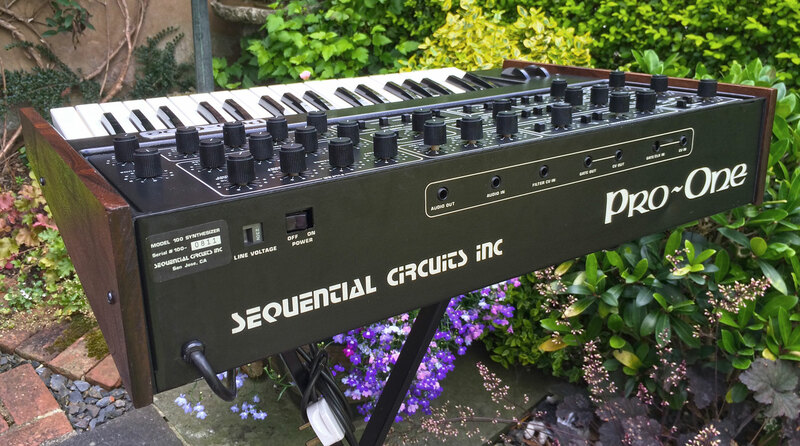 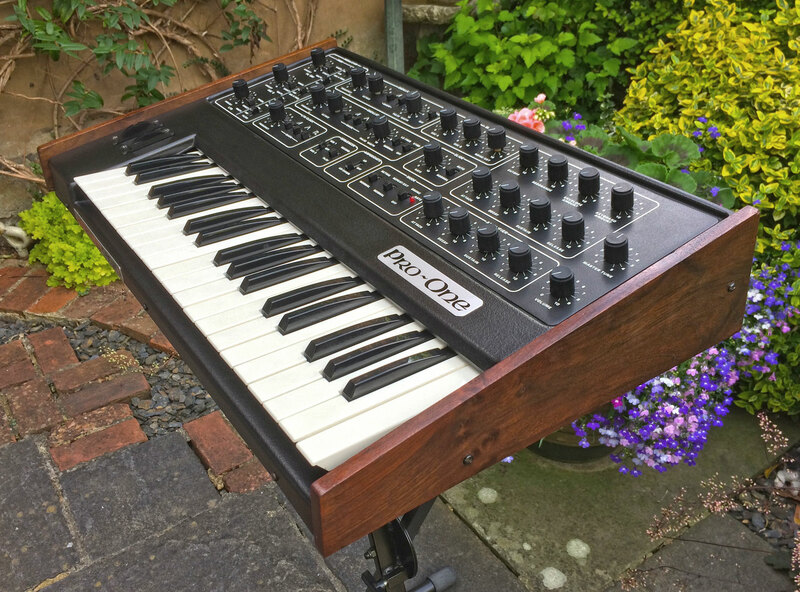 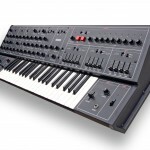 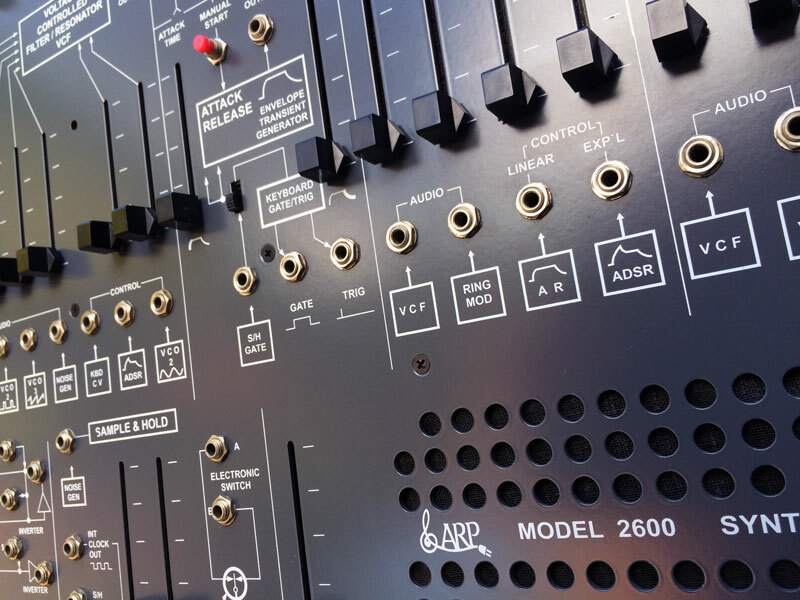 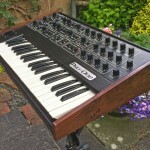 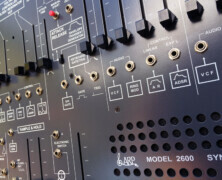 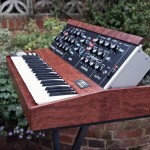 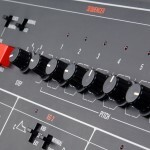 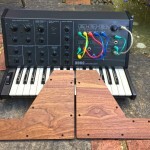 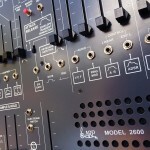 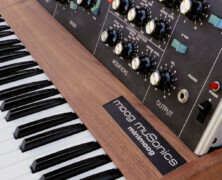 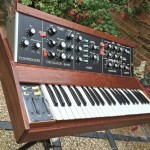 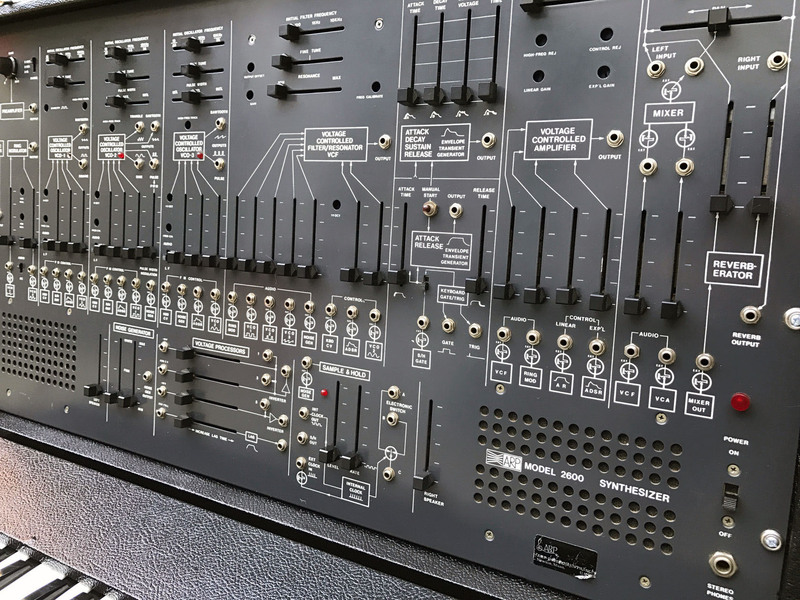 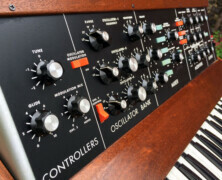 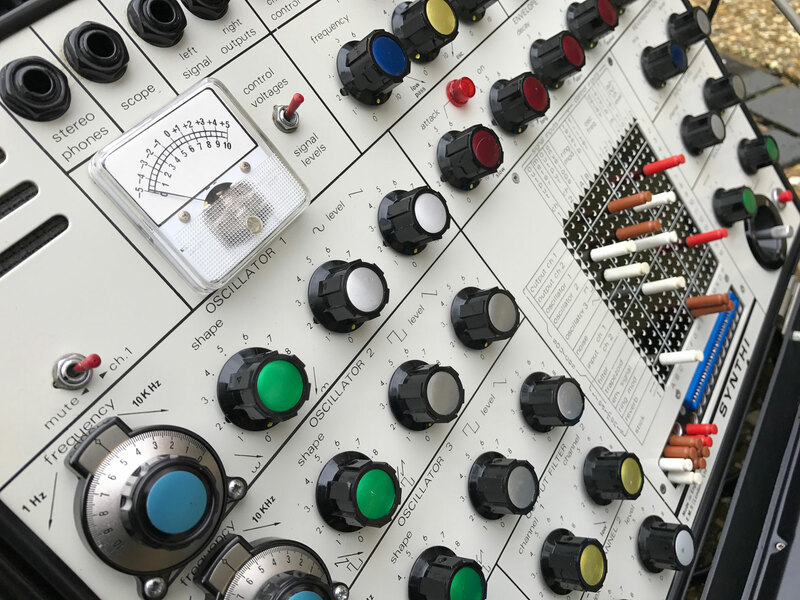 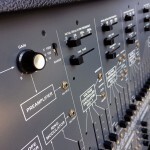 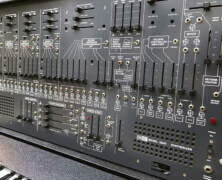 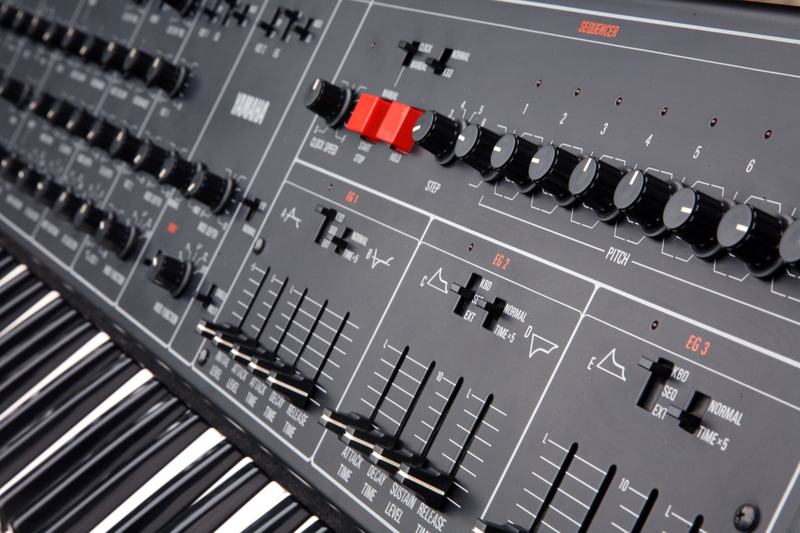 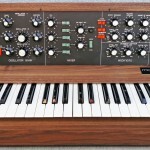 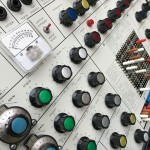 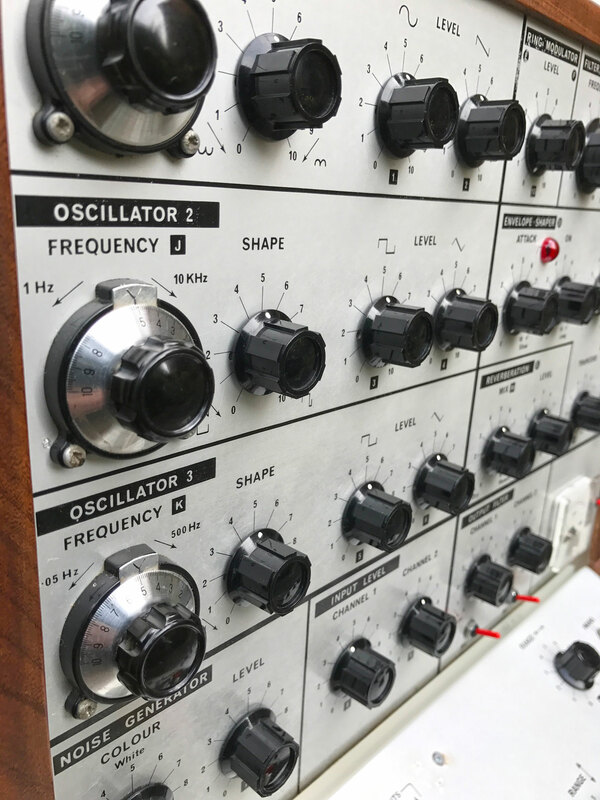 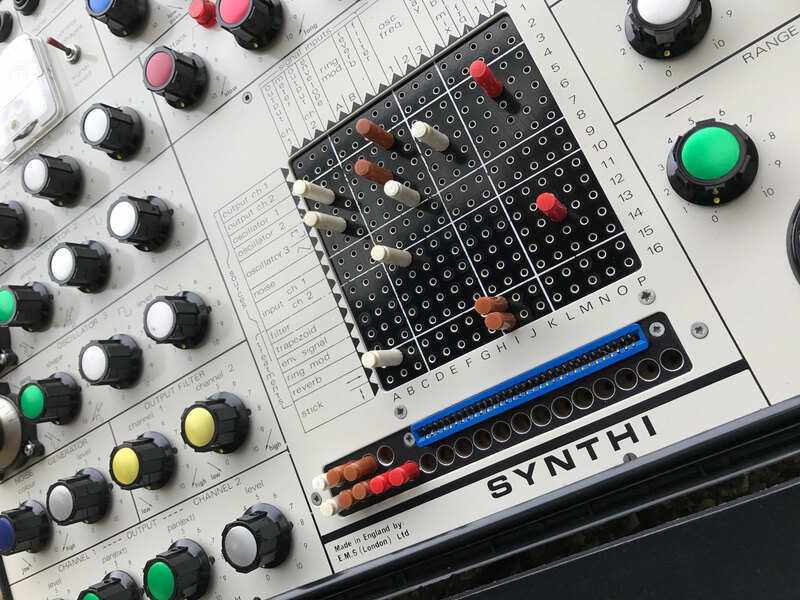 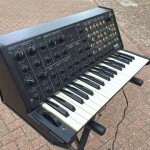 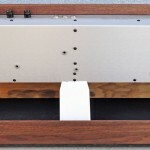 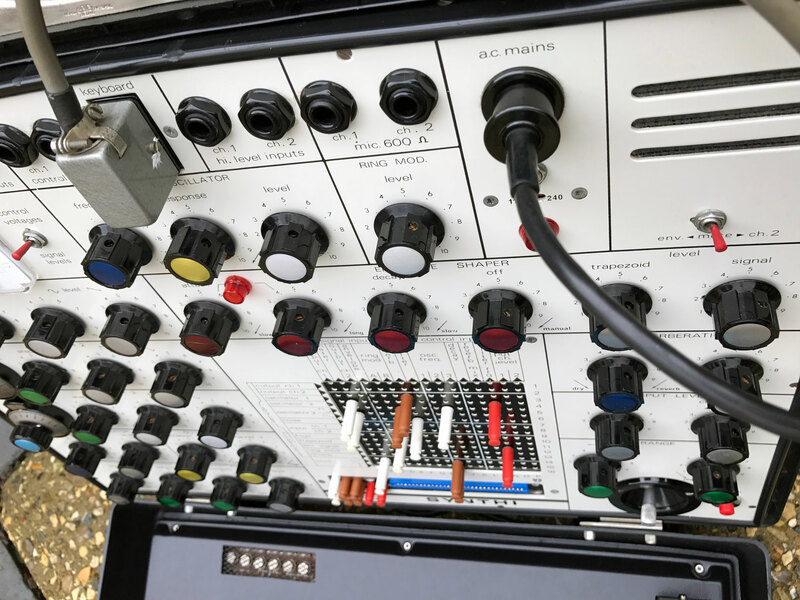 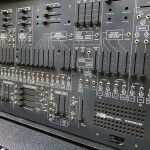 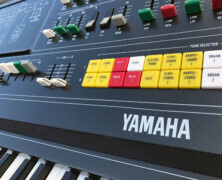 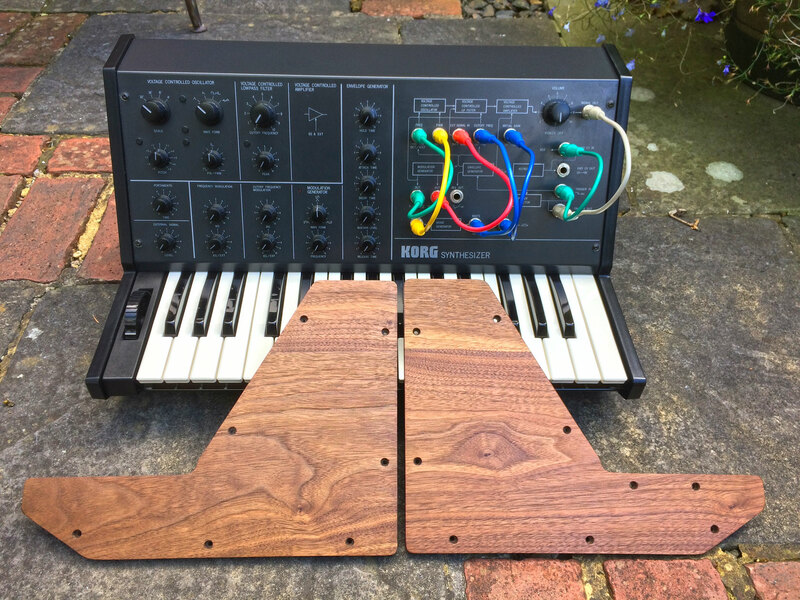 There has of course been much more detailed work then simply described here, but most of the technical work carried out has been to ensure the instrument is reliable and safe to use, but nothing has been replaced that effects the vintage Moog sound. 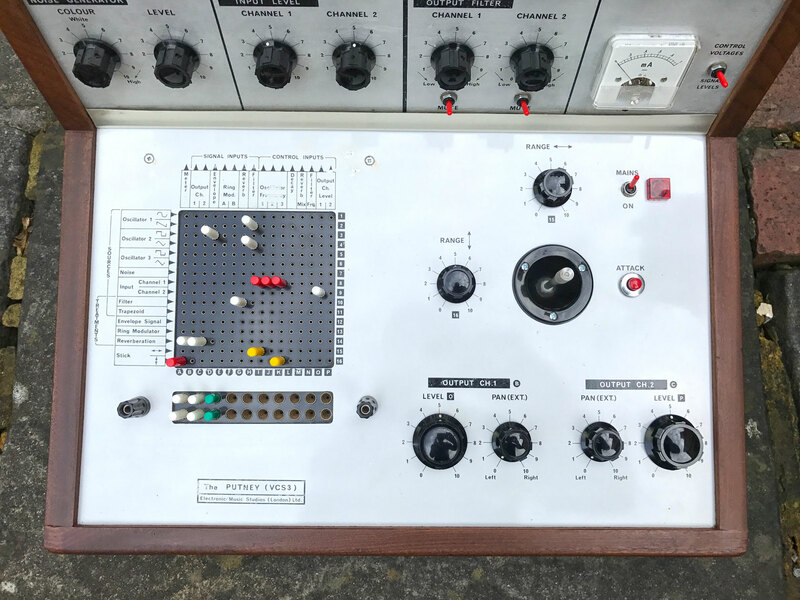 KSR have very carefully hand-finished the original Rose Wood Cabinet to bring back the character, and waxed finished it to enhance the natural ageing and darkening of the wood (its patina). 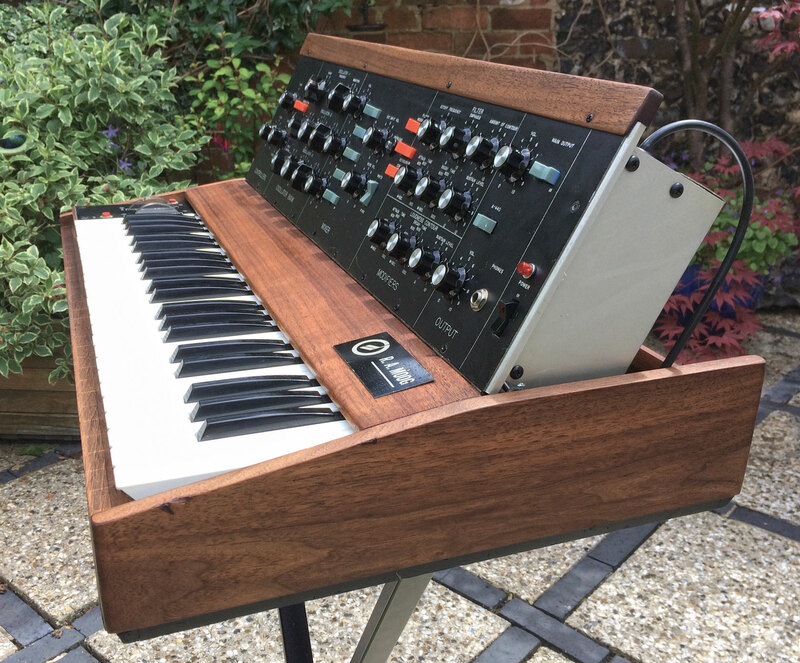 Without doubt this RA Minimoog look beautifully old and special, it plays perfectly, scaling and tracking through all the footages very nicely thanks to the skill of a master restorer. 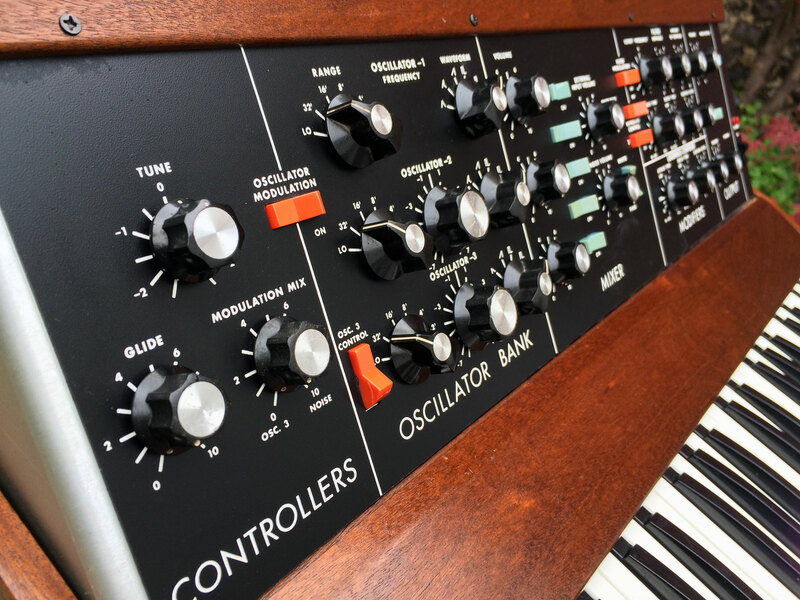 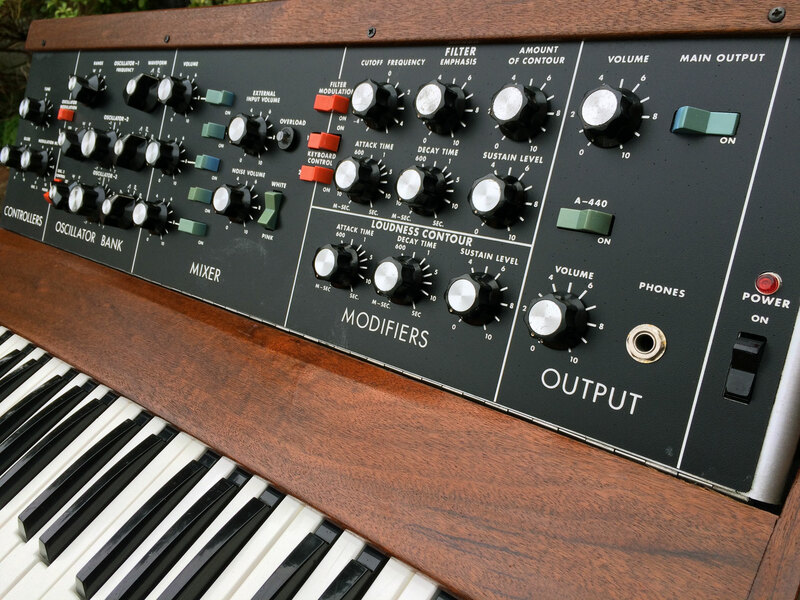 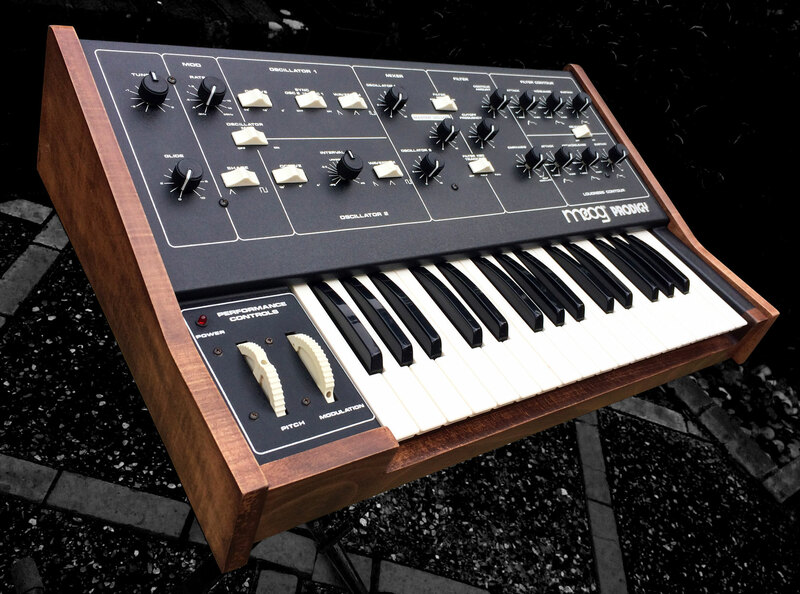 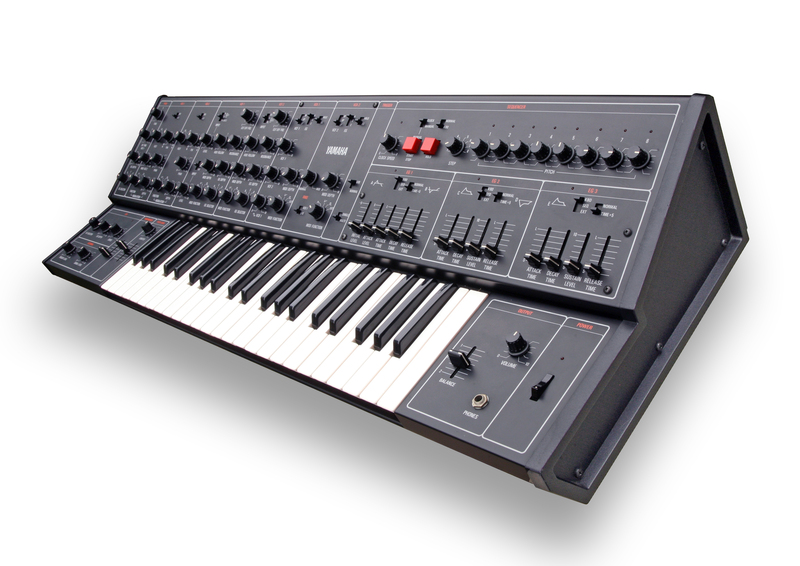 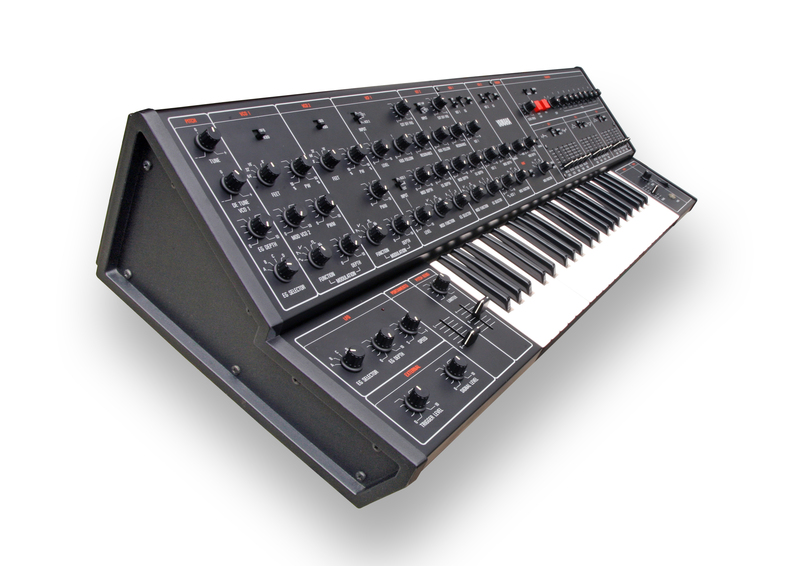 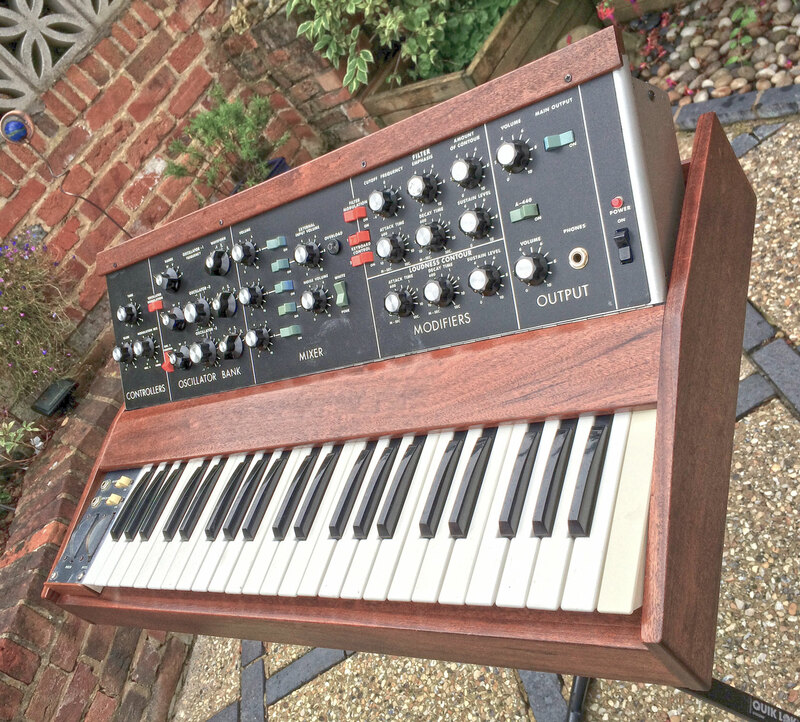 There is always more restoration work you can invest into these machines, but the more you start replacing things, then more you ‘dial out’ the history and authenticity, so in the case of the first Minimoogs ever made by the great Bob Moog, we feel less is more. 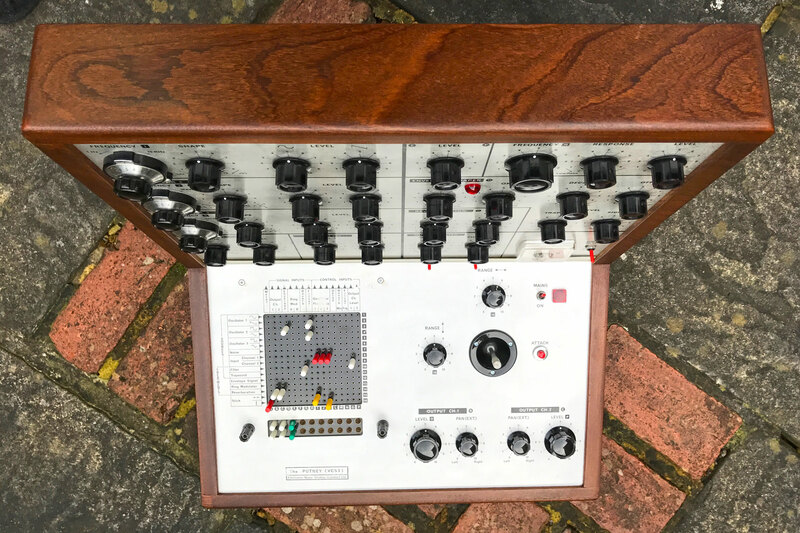 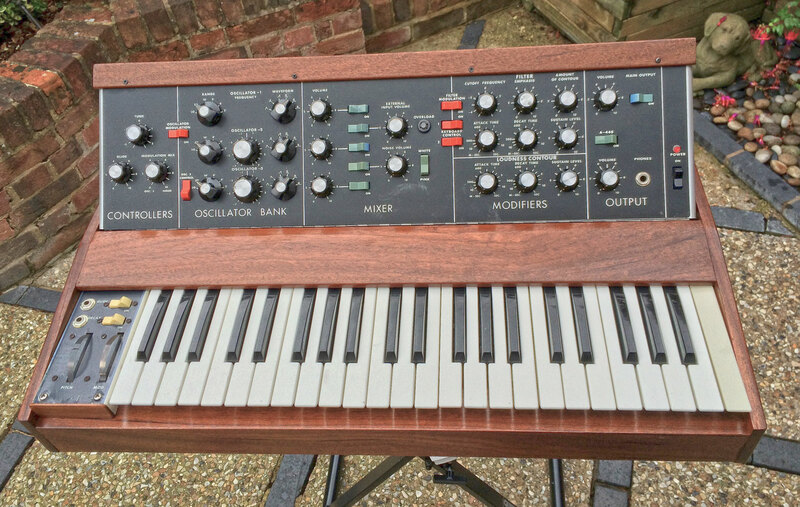 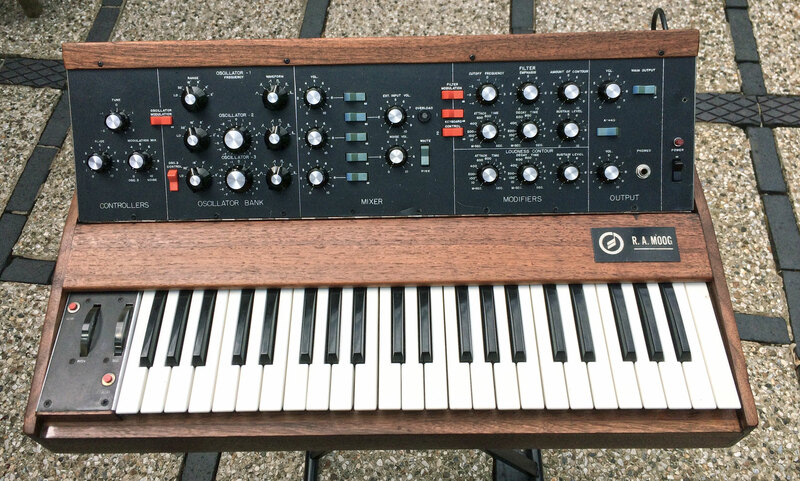 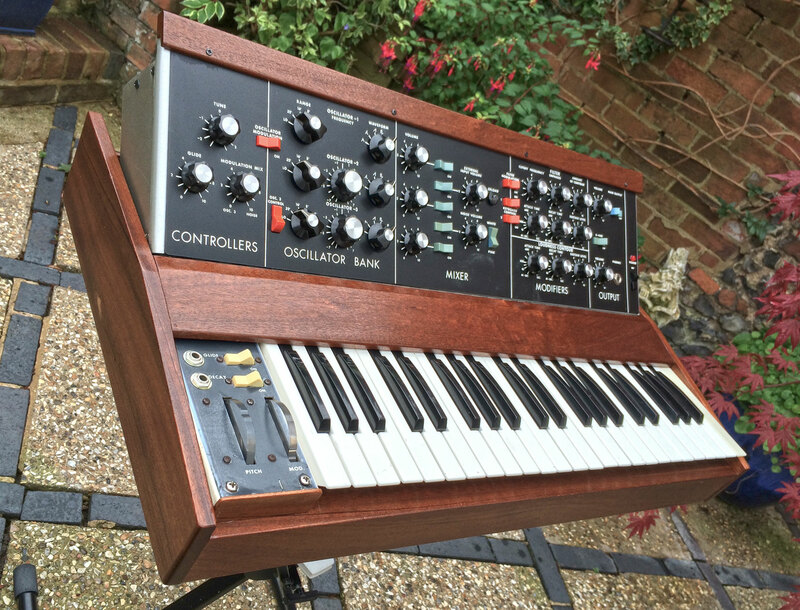 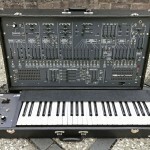 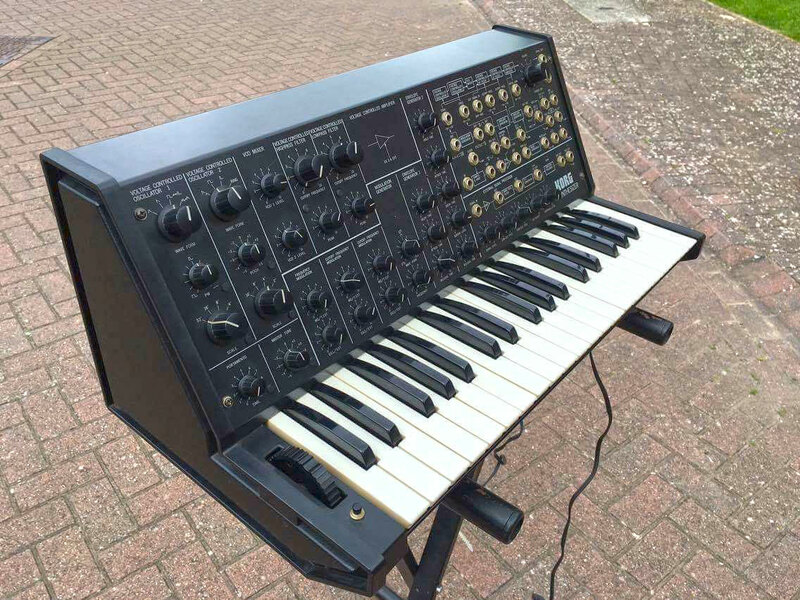 This is not a pristine condition high-end collector/museum grade example, so can’t attain the prices that would demand, but the owner is appreciative of the ‘used’ condition this RA Minimoog is presented to the market in, so the price below reflects this reality. 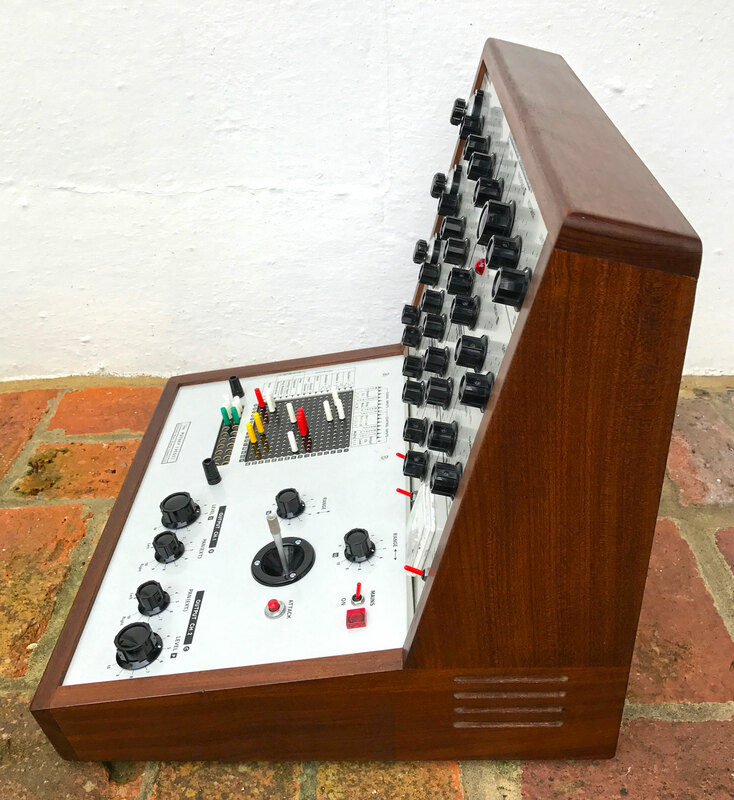 If you want ‘that RA Moog sound’ and don’t mind a bit of real tangible history in your synths, then this surely has to be the perfect opportunity to own your own RA Minimoog. 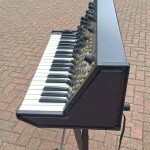 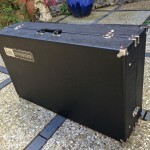 This extraordinary instrument is being sold with our enhanced 6 month warranty. 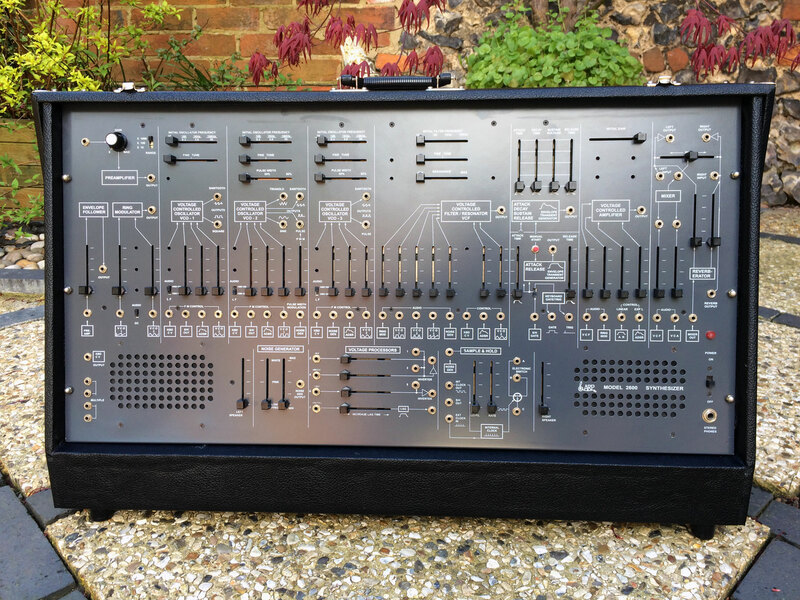 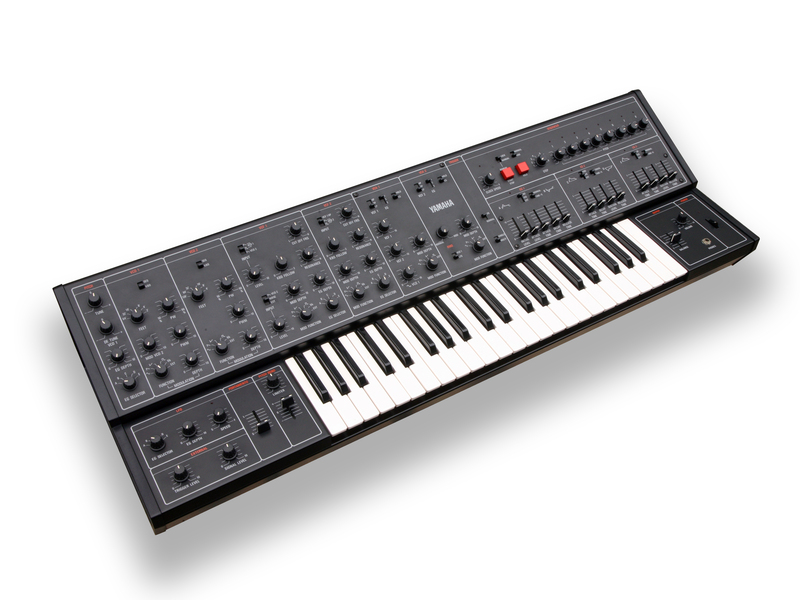 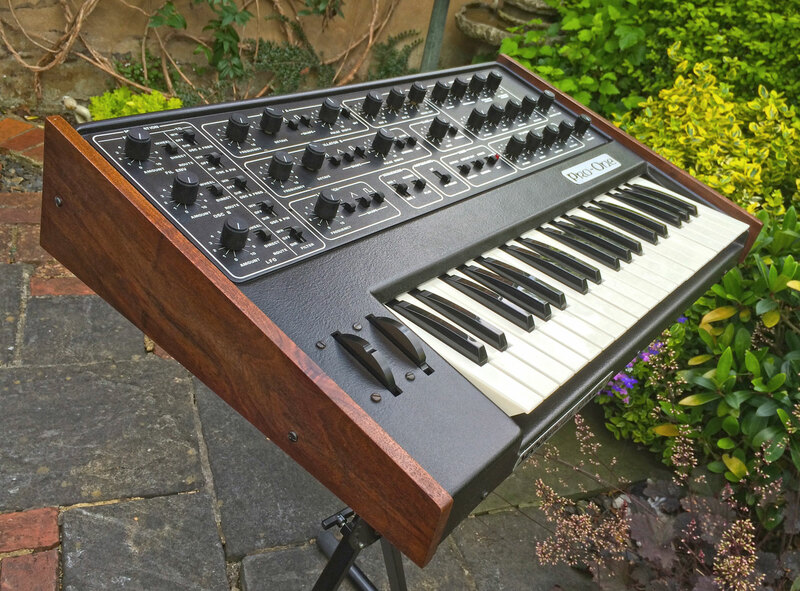 Availability: This RA Minimoog is now SOLD as at 18th July 2016.